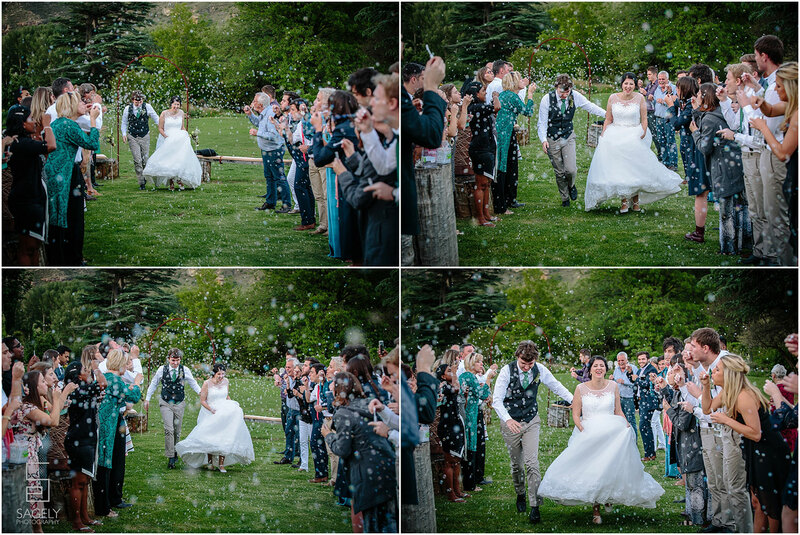 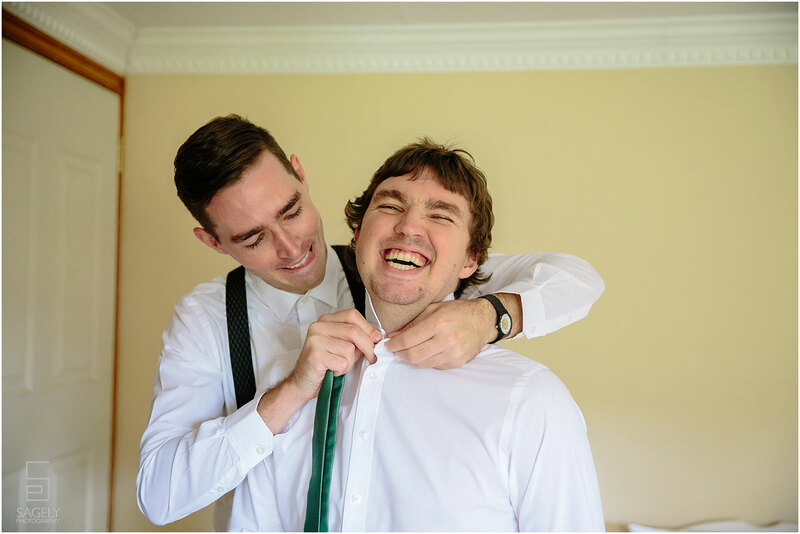 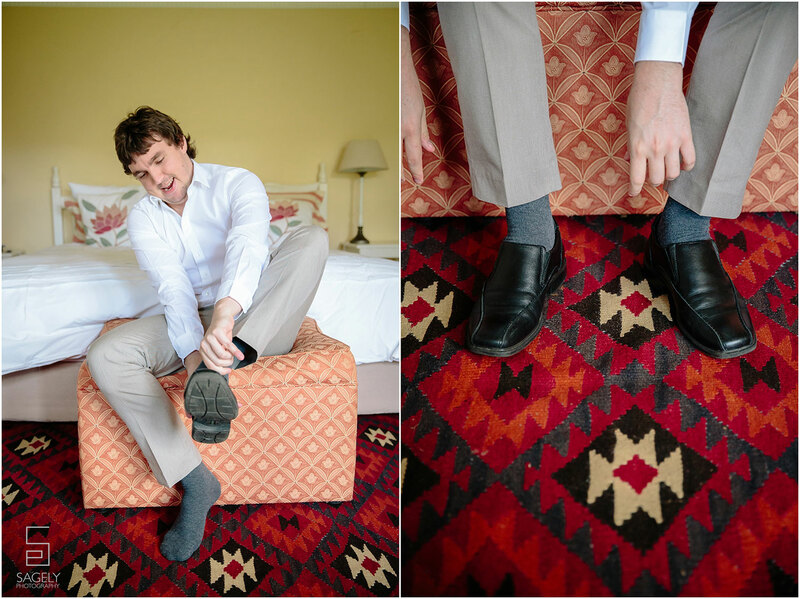 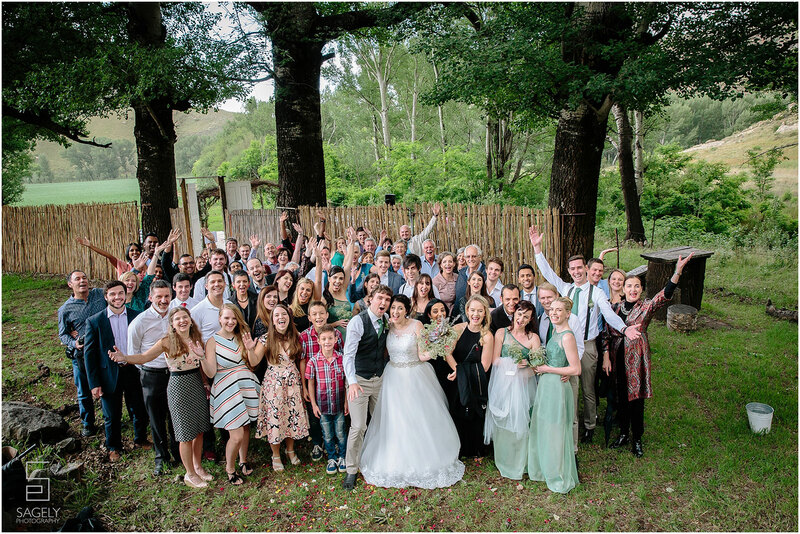 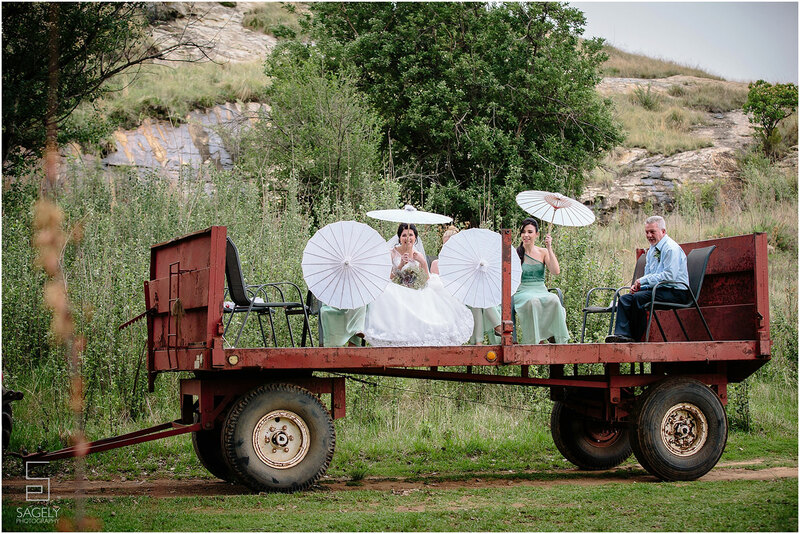 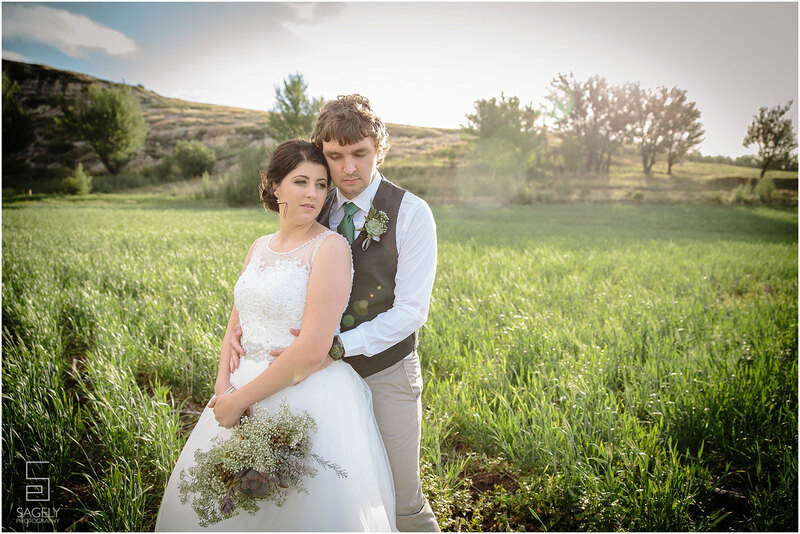 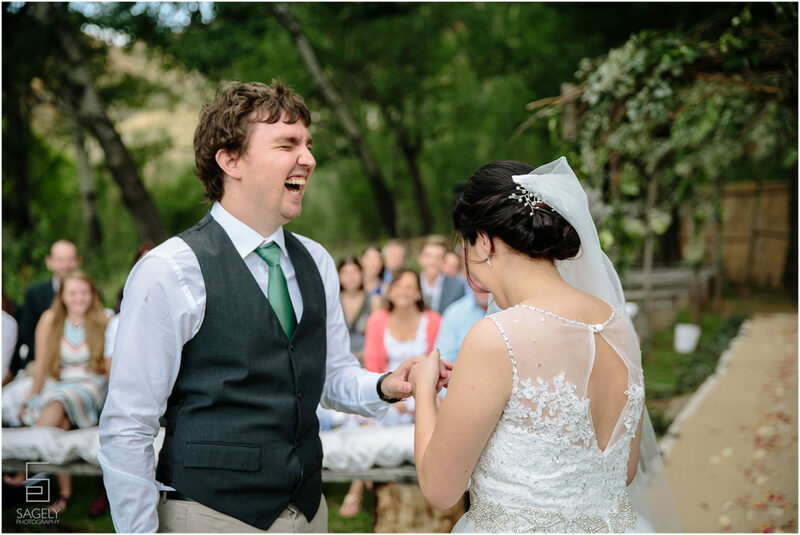 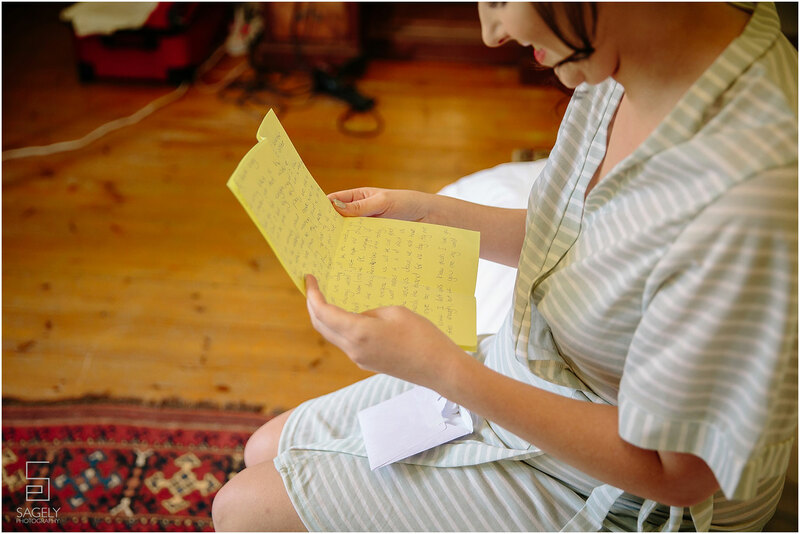 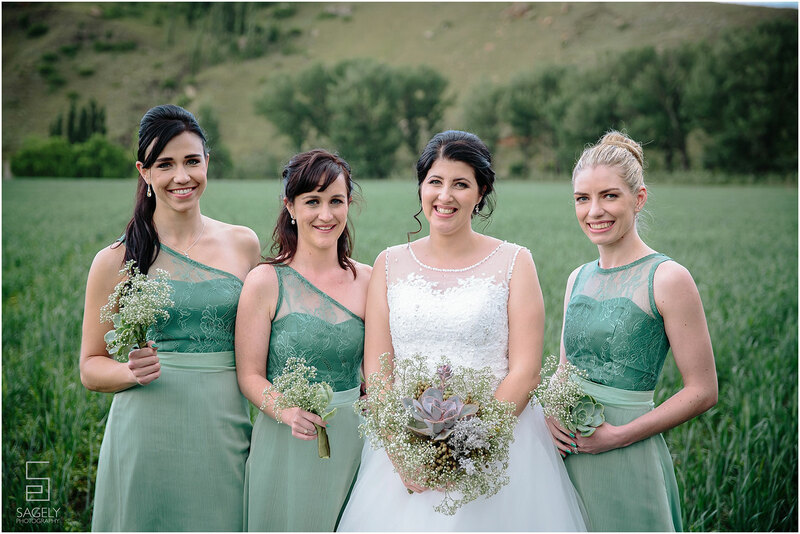 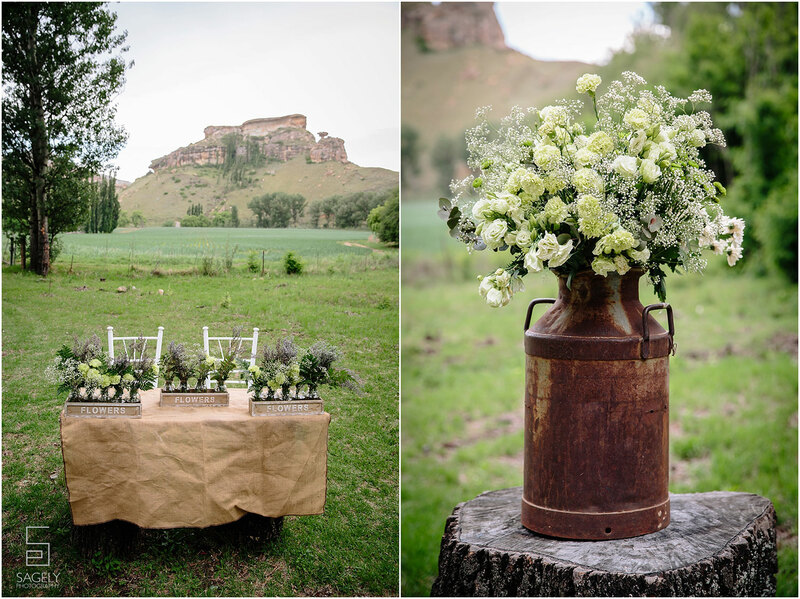 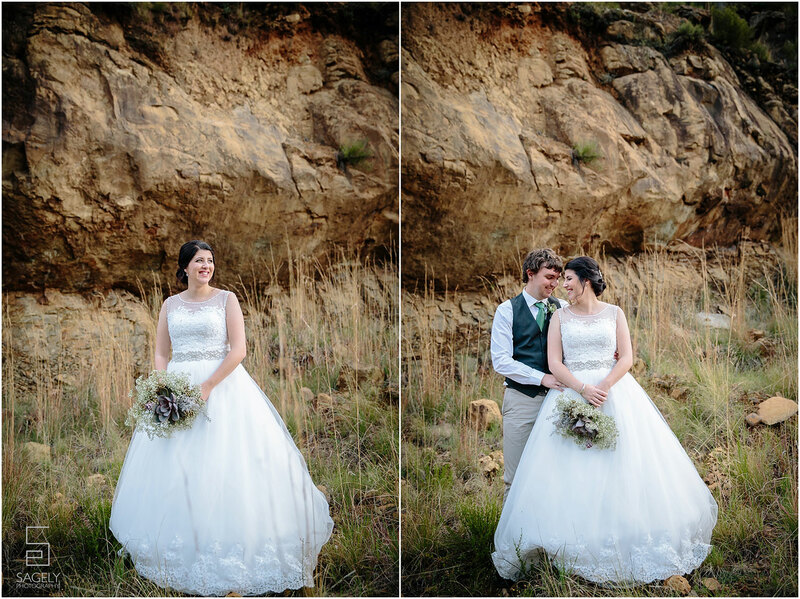 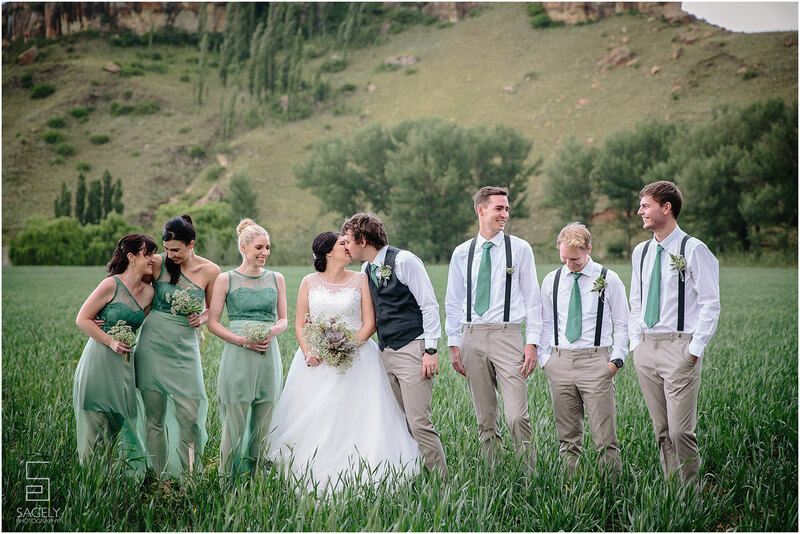 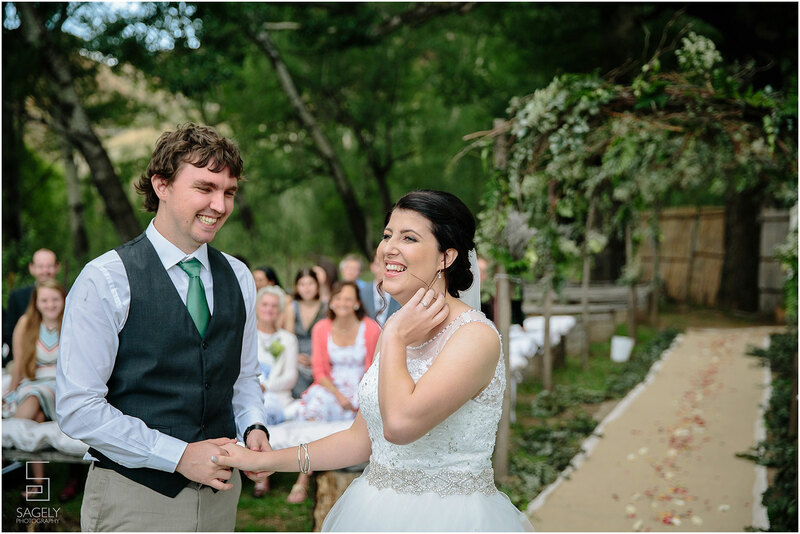 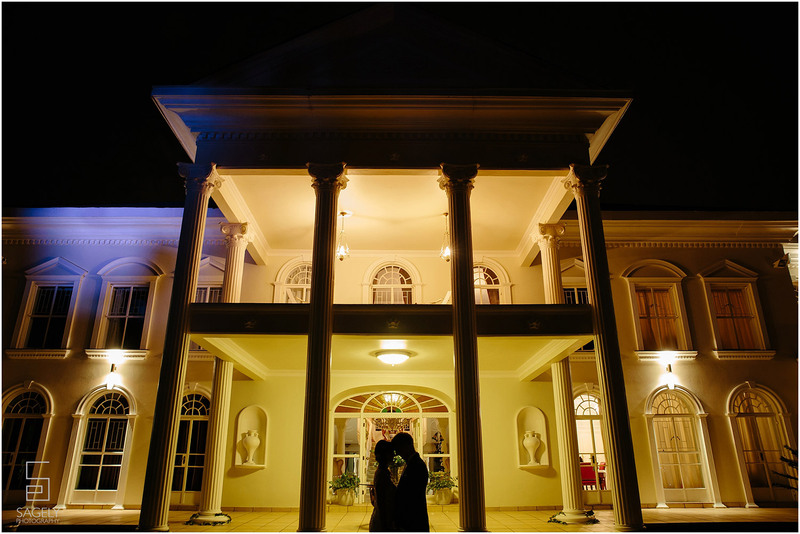 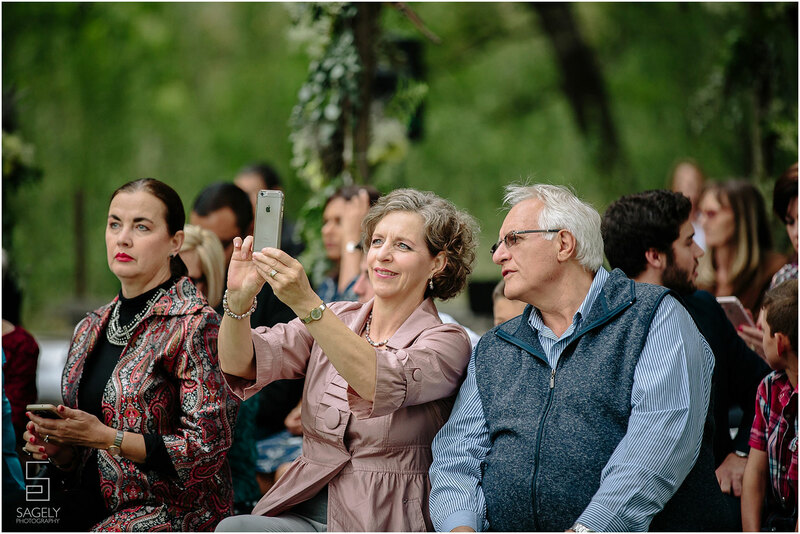 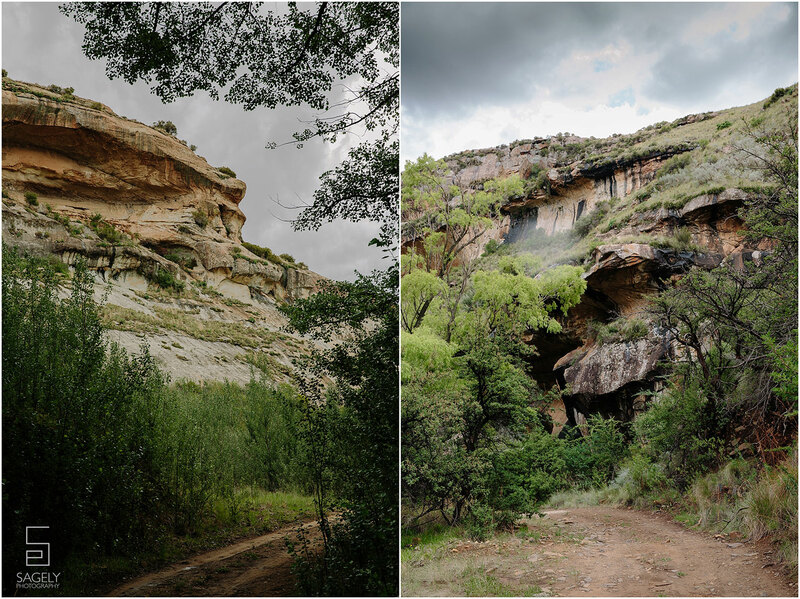 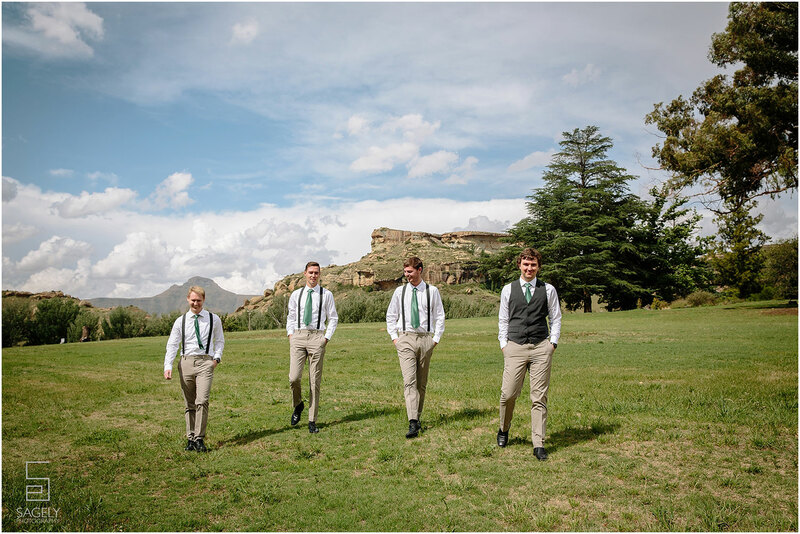 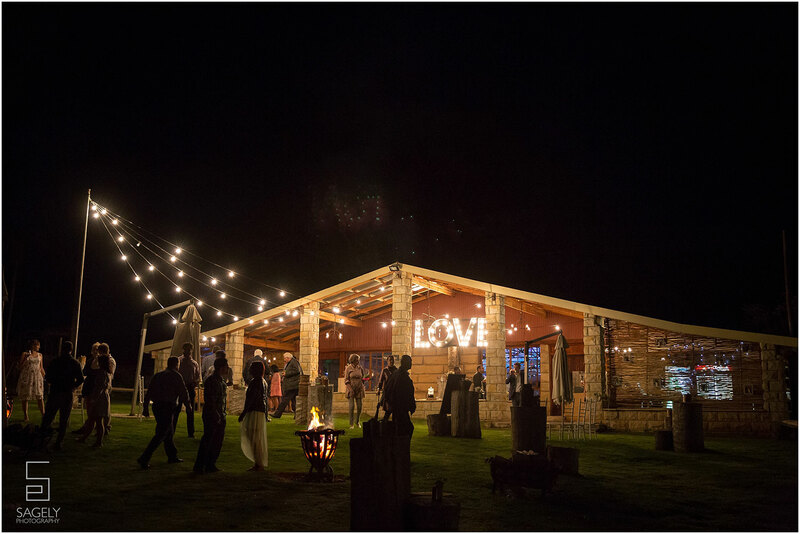 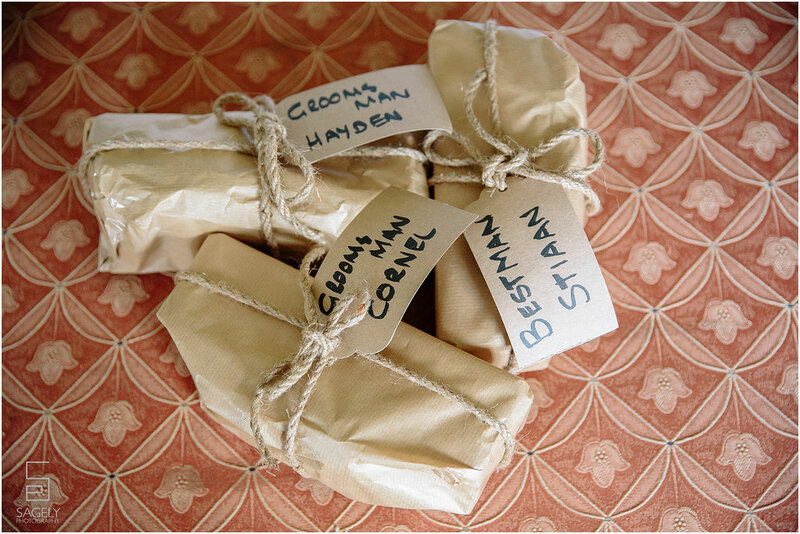 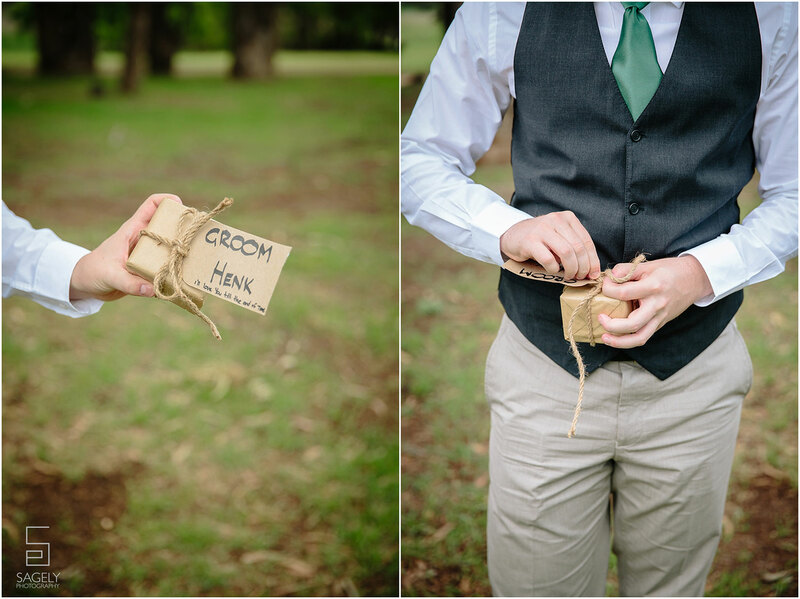 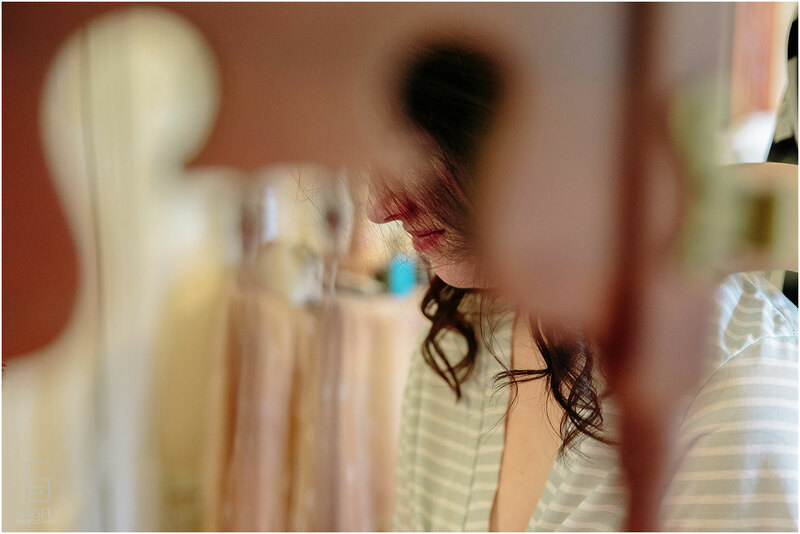 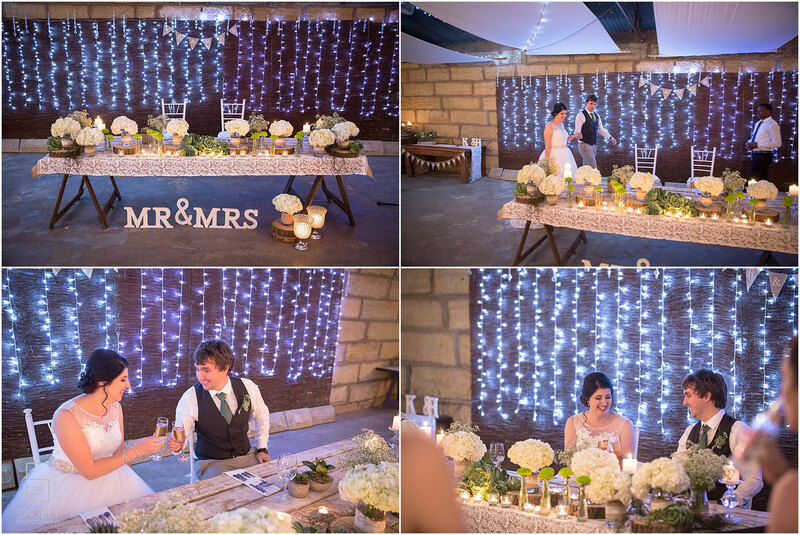 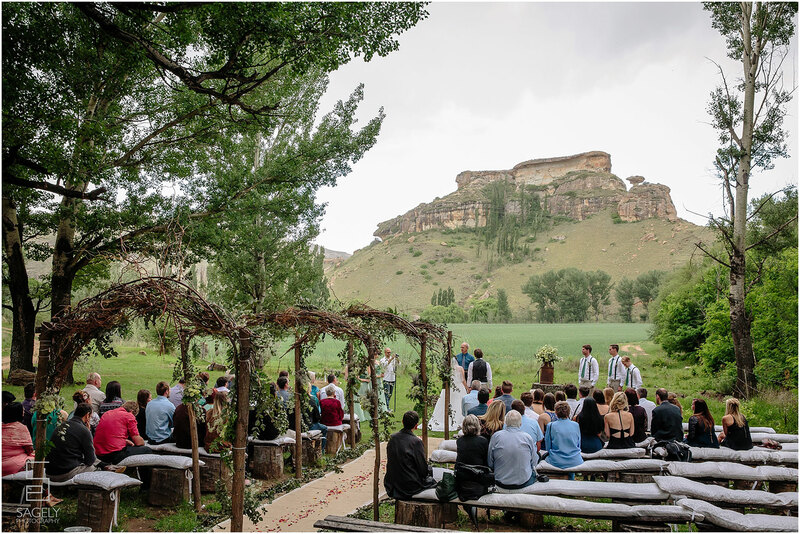 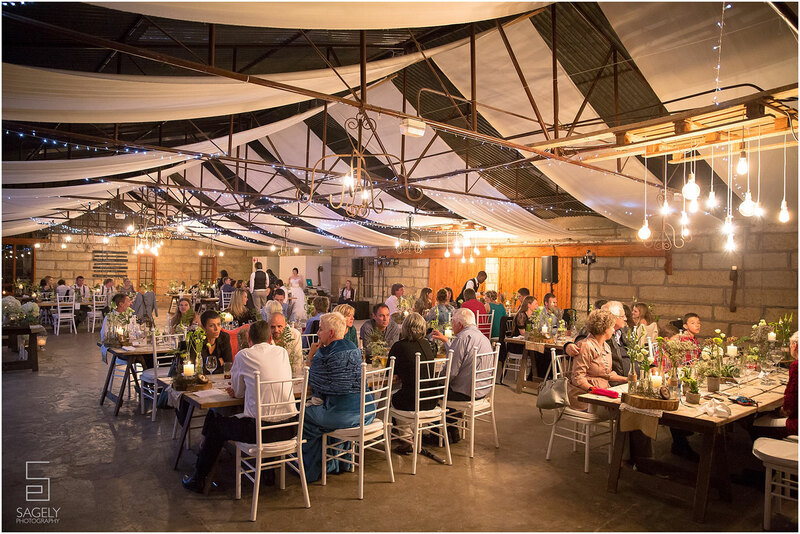 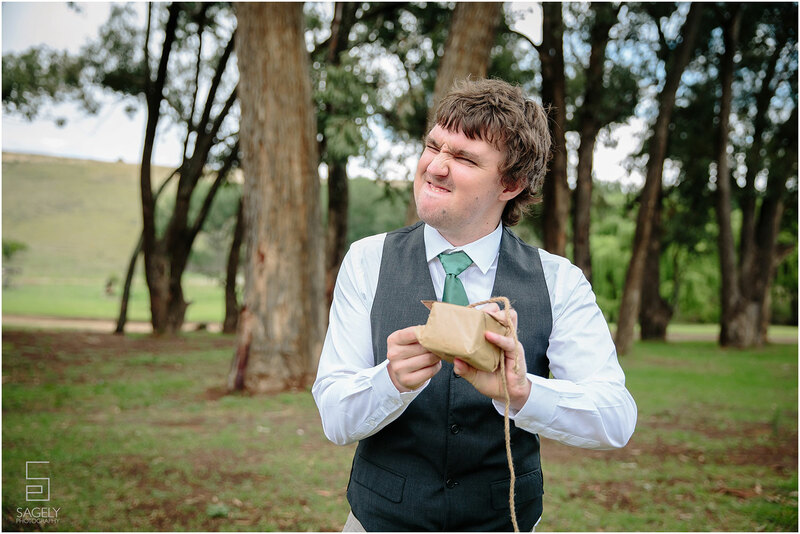 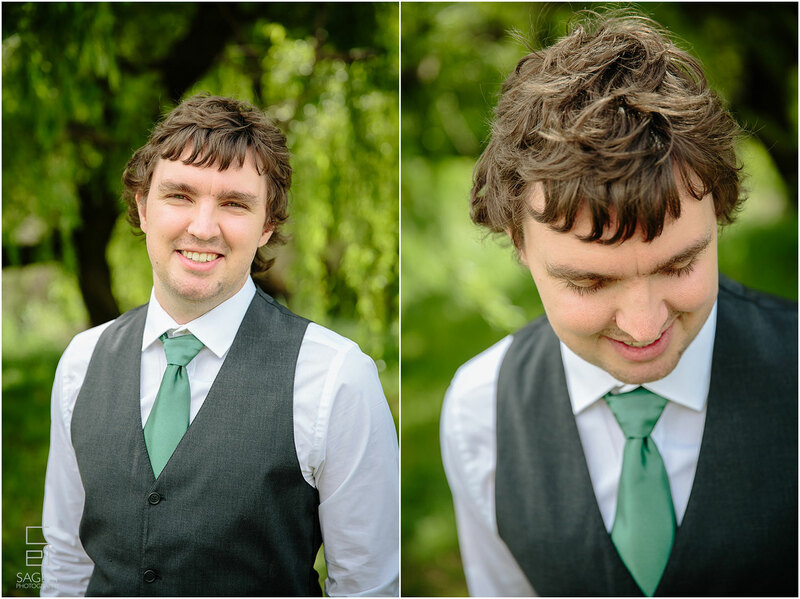 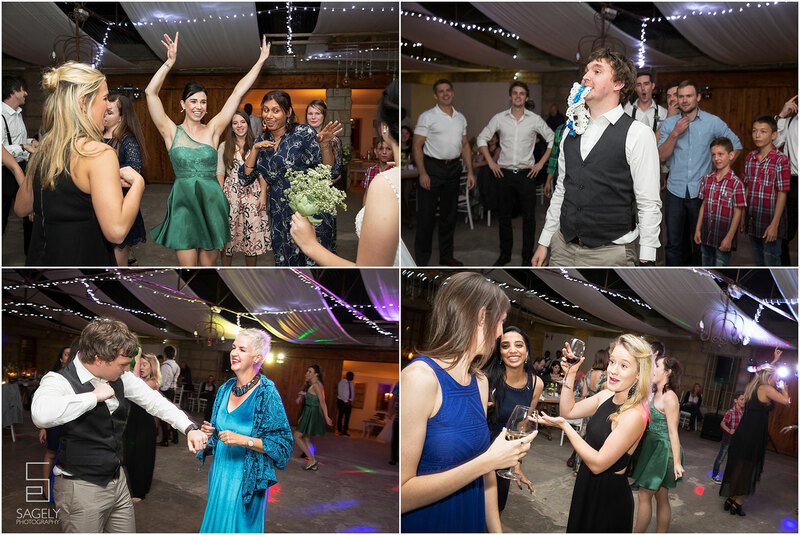 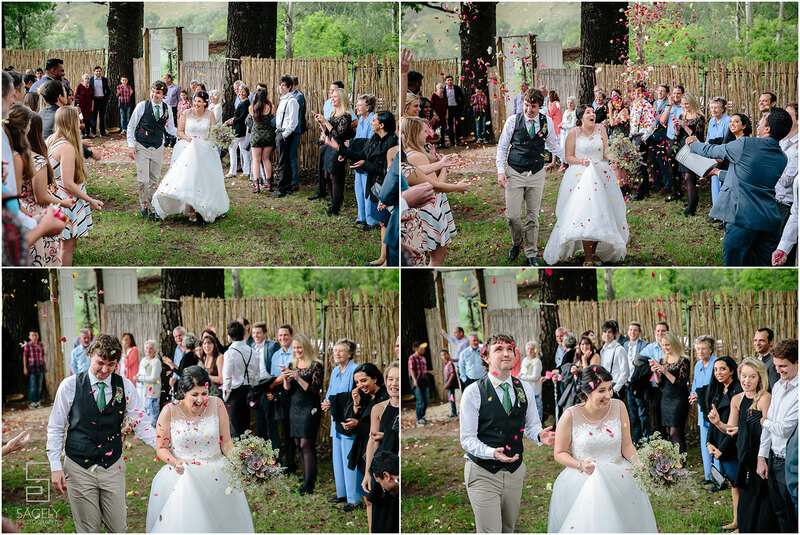 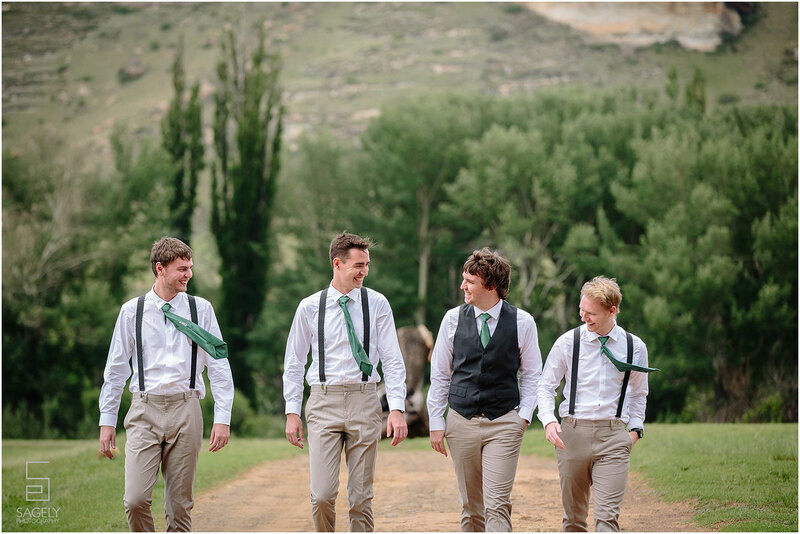 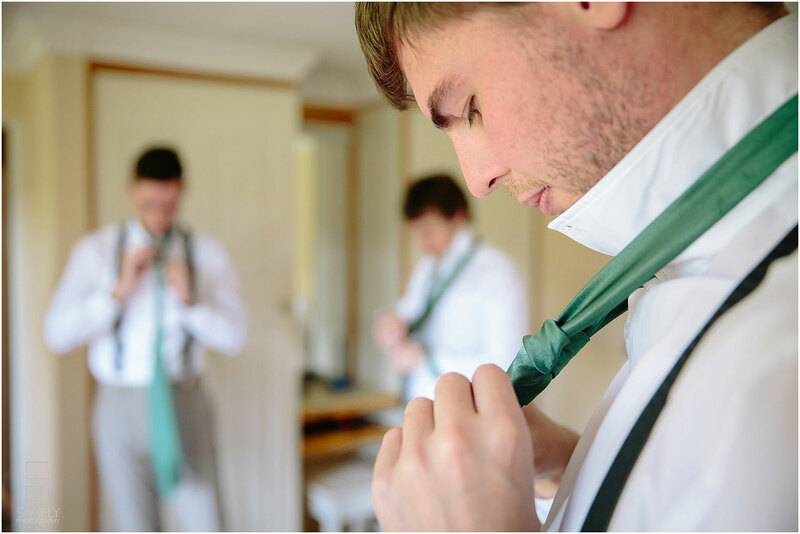 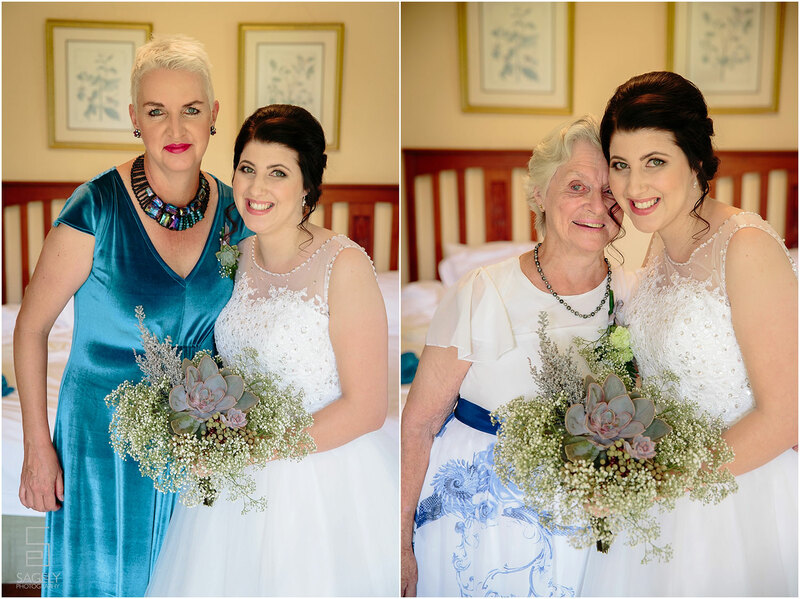 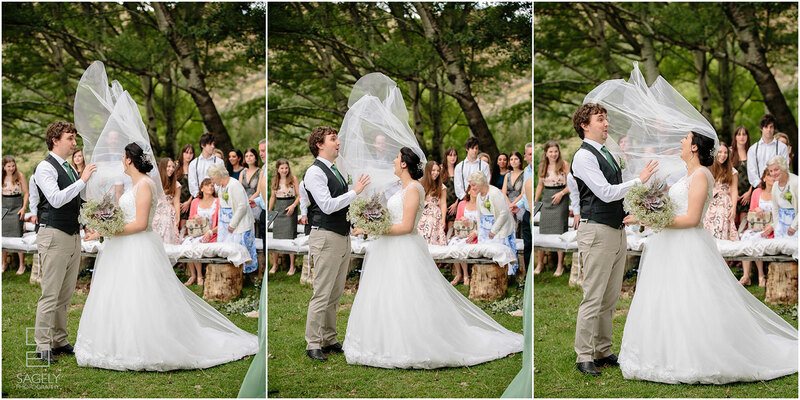 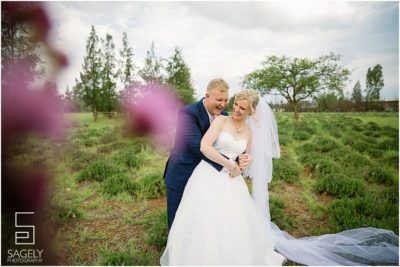 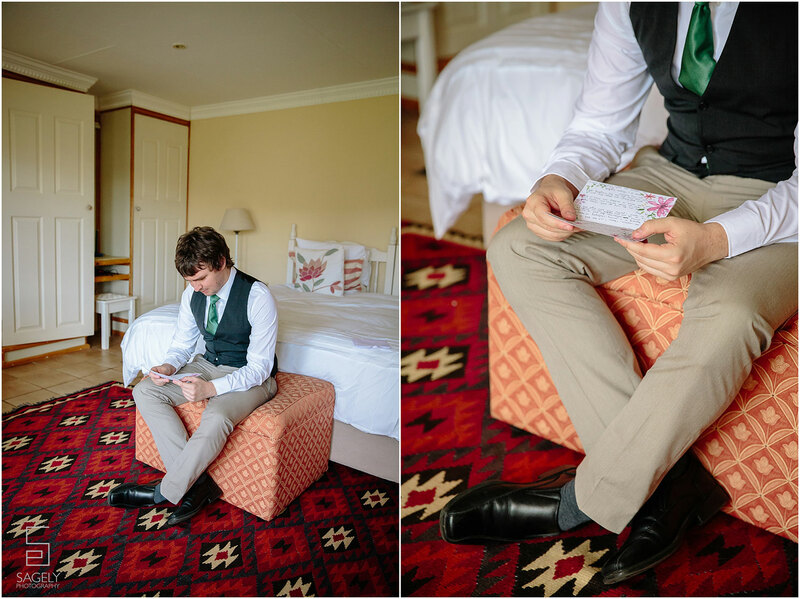 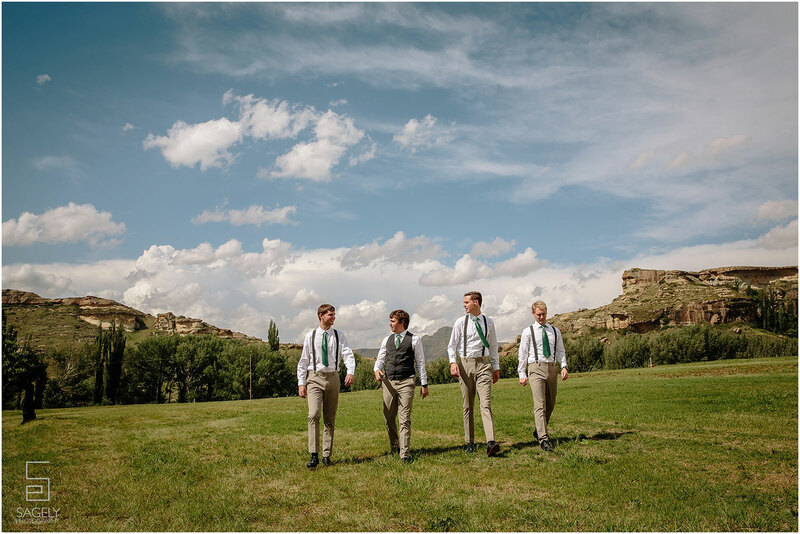 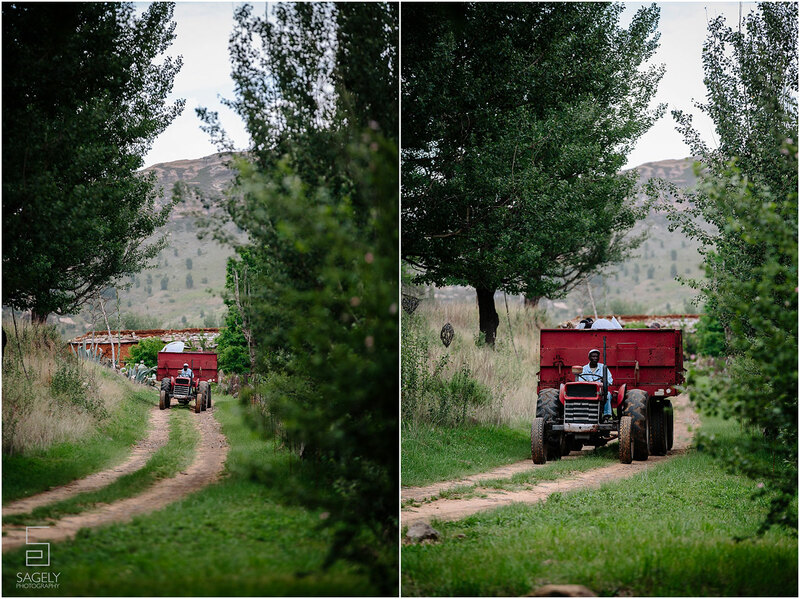 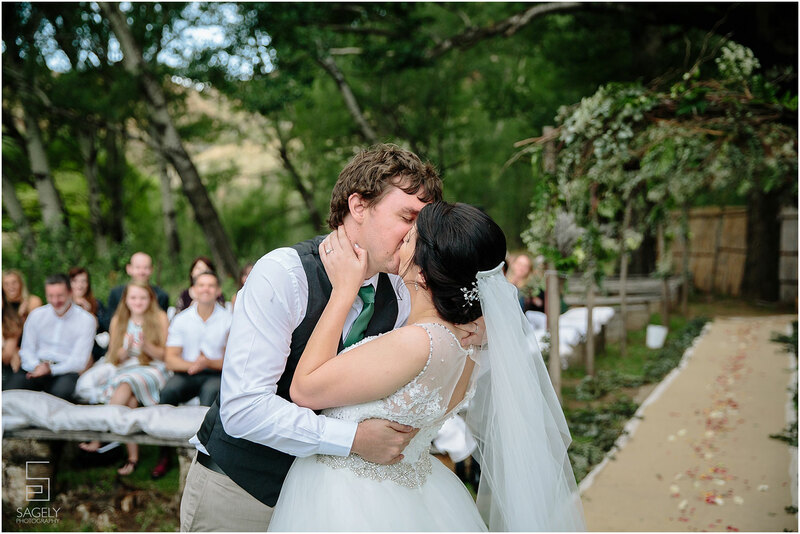 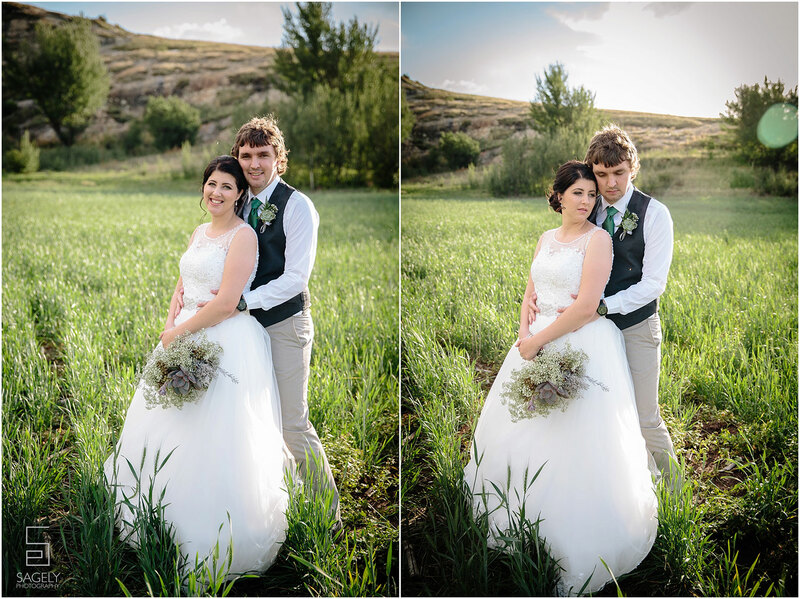 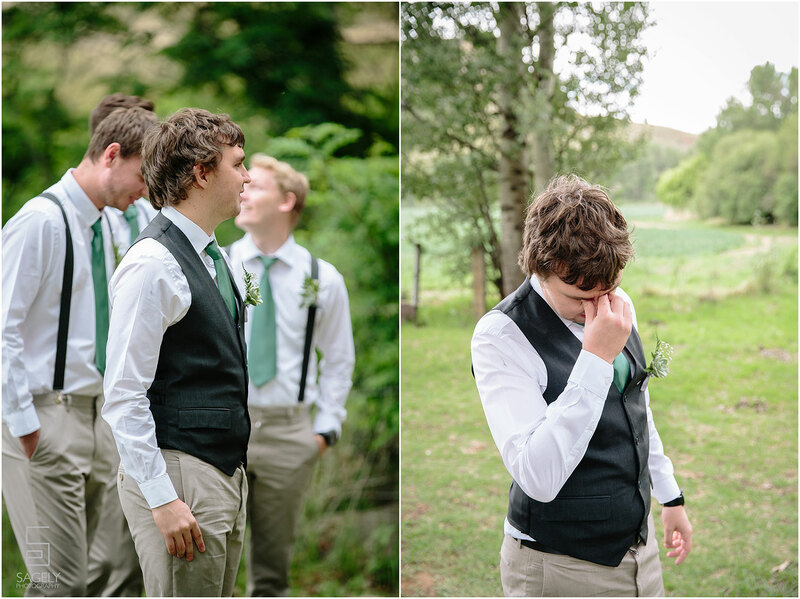 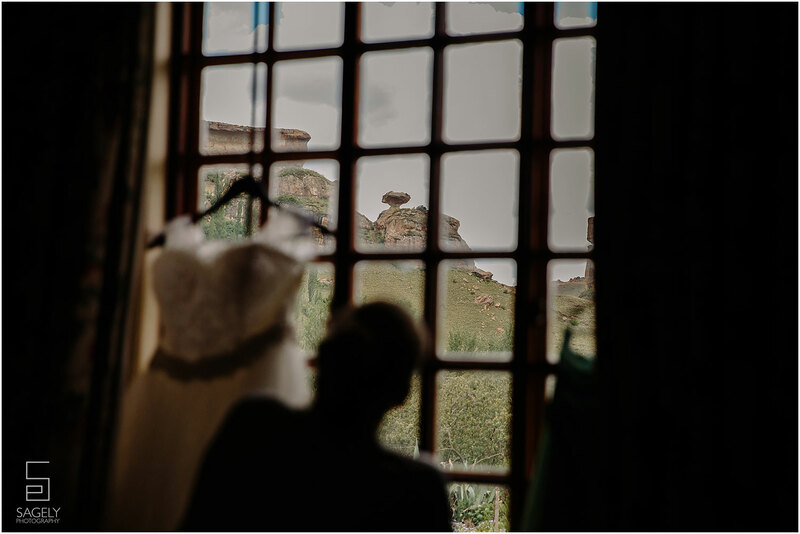 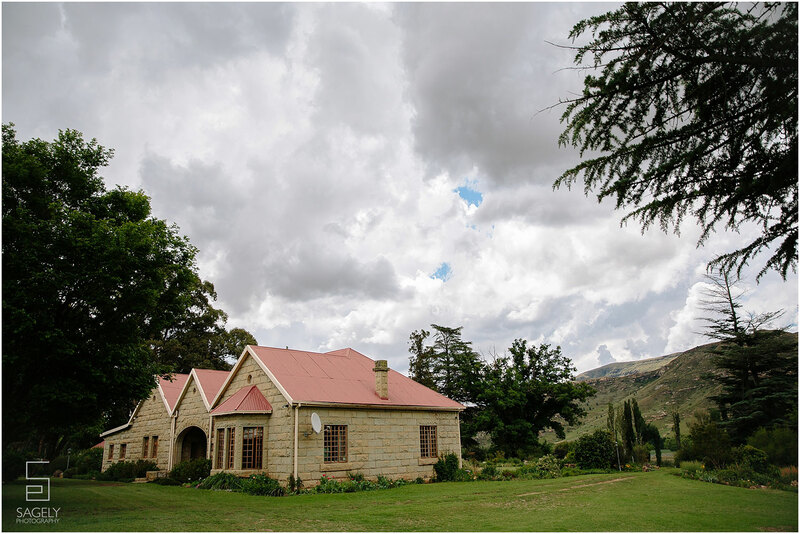 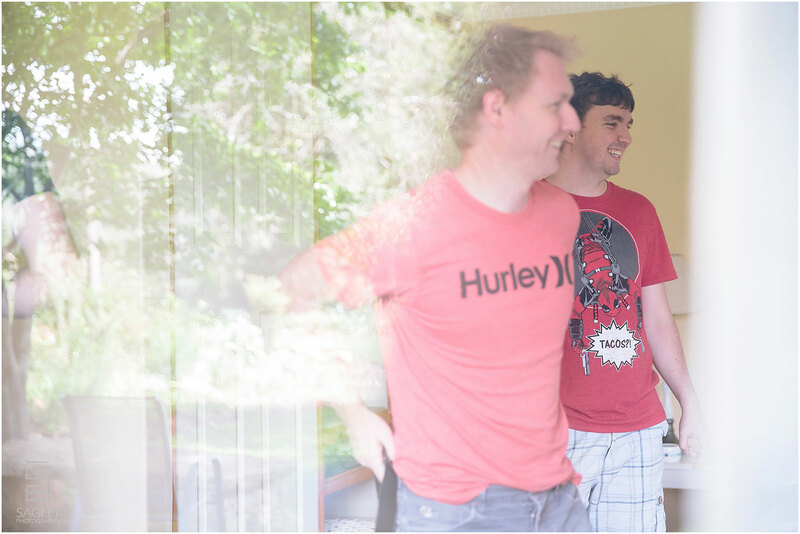 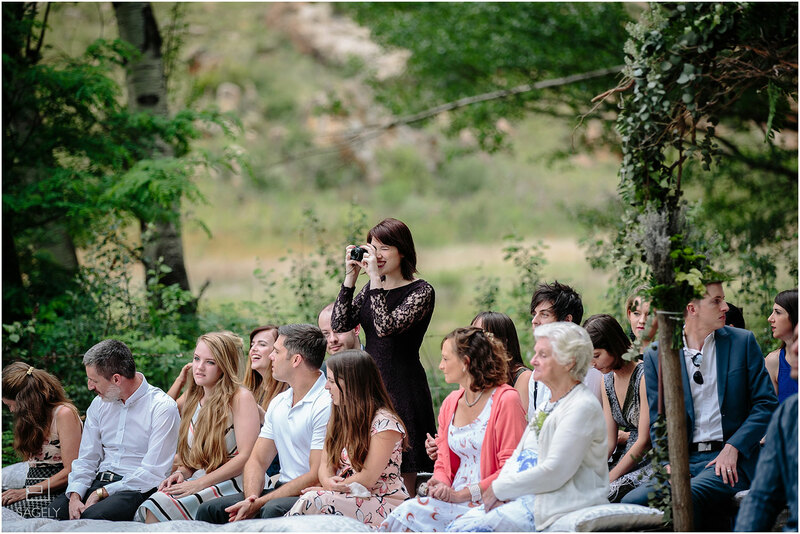 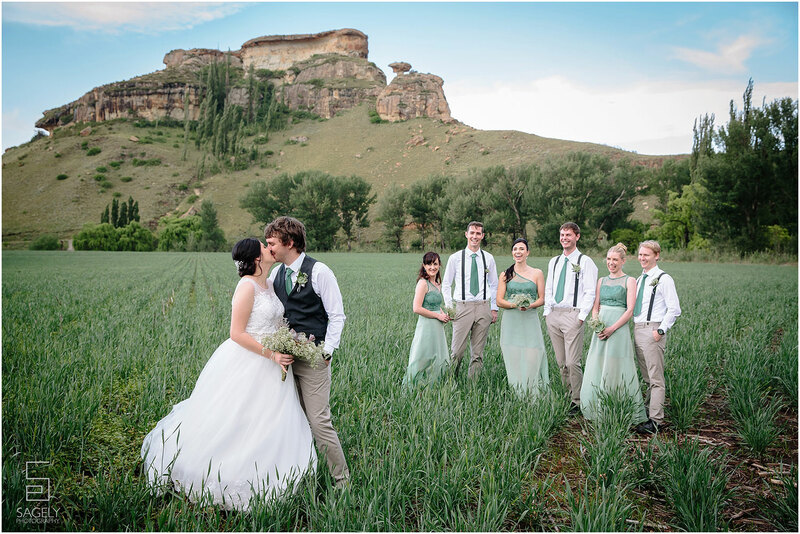 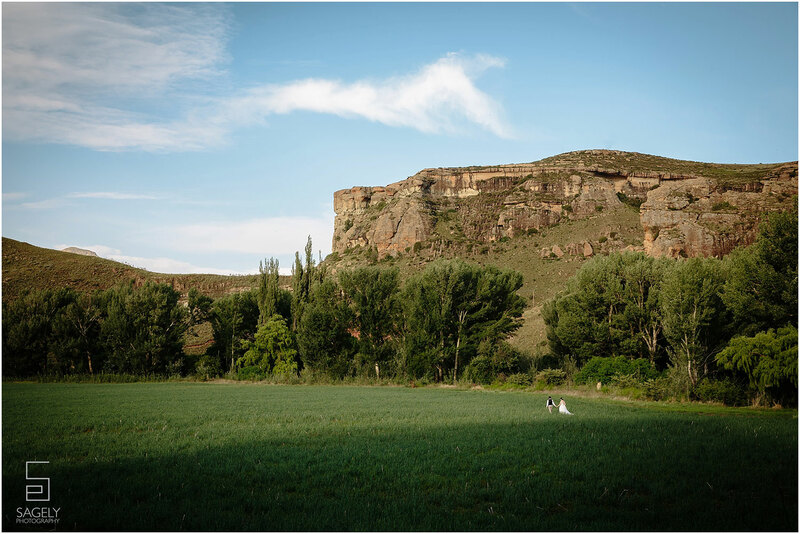 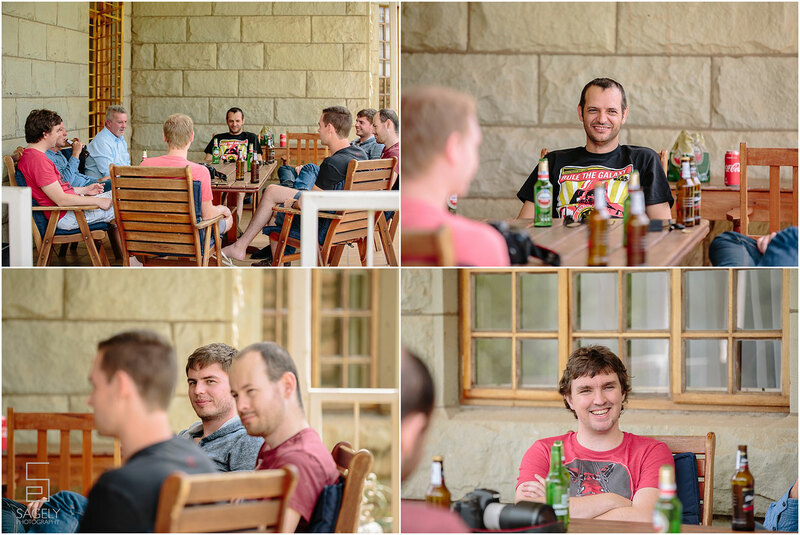 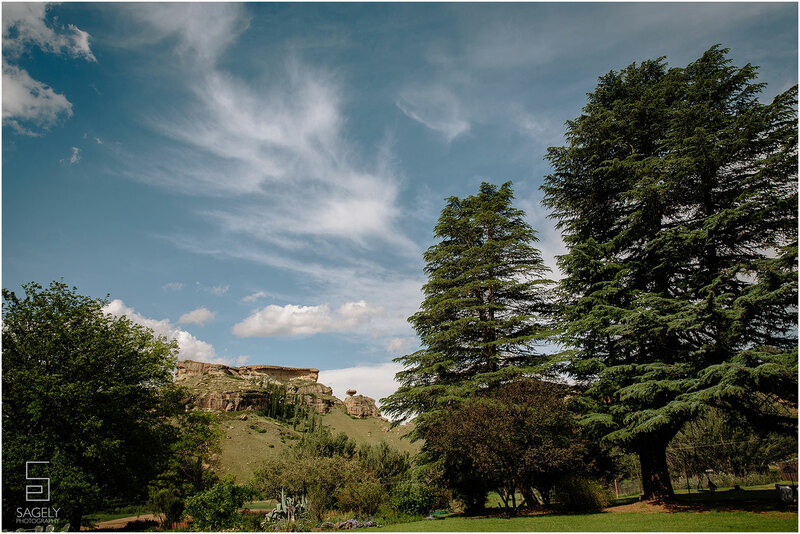 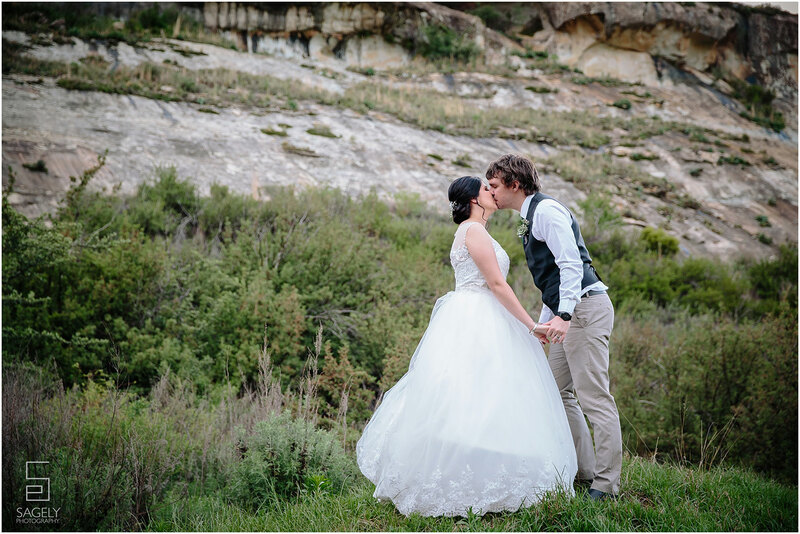 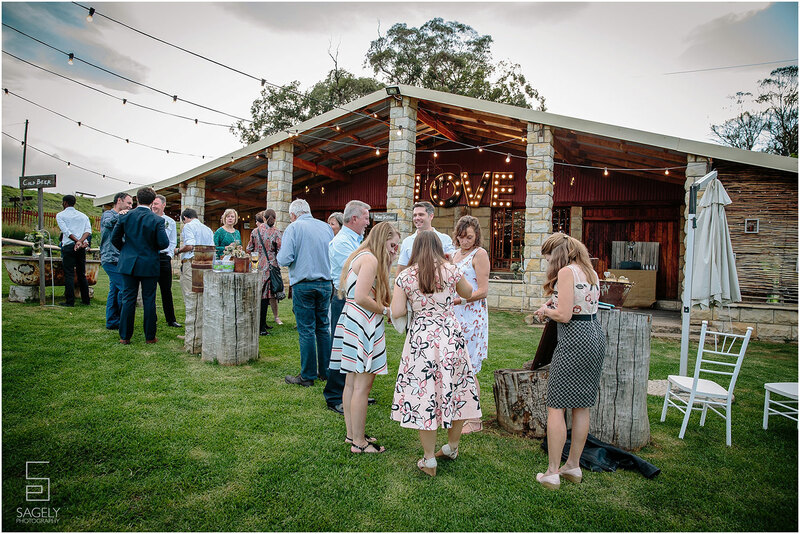 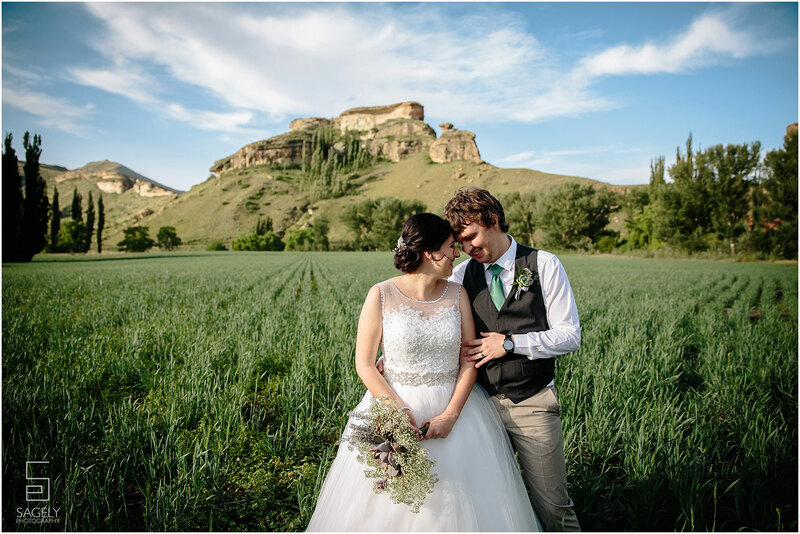 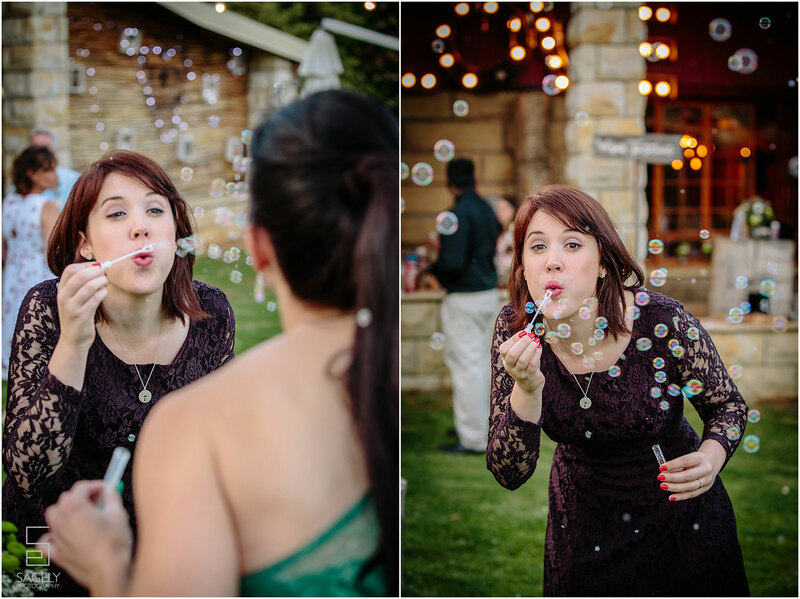 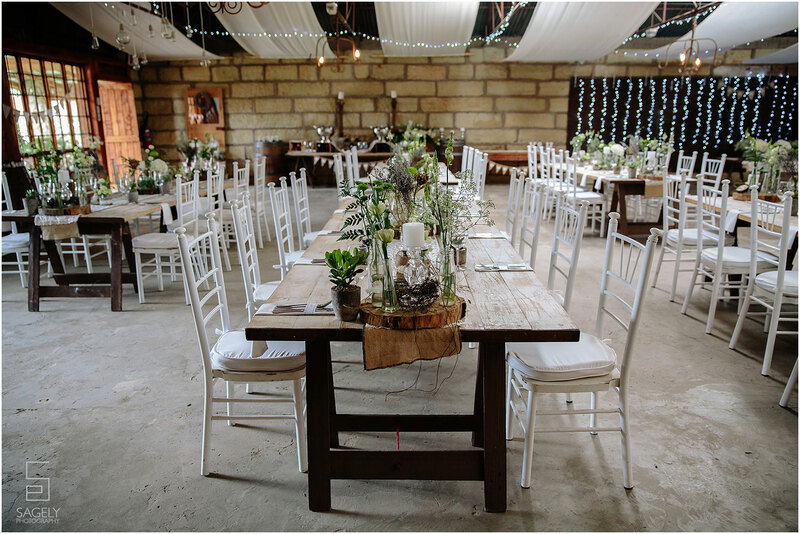 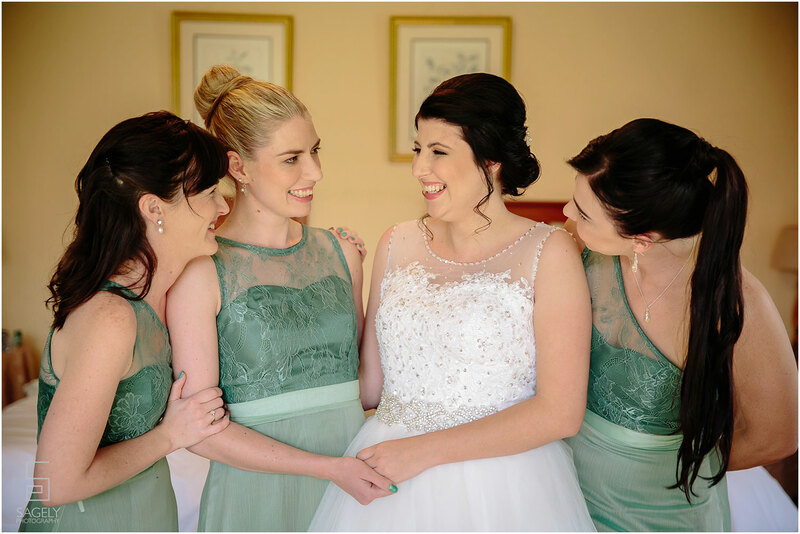 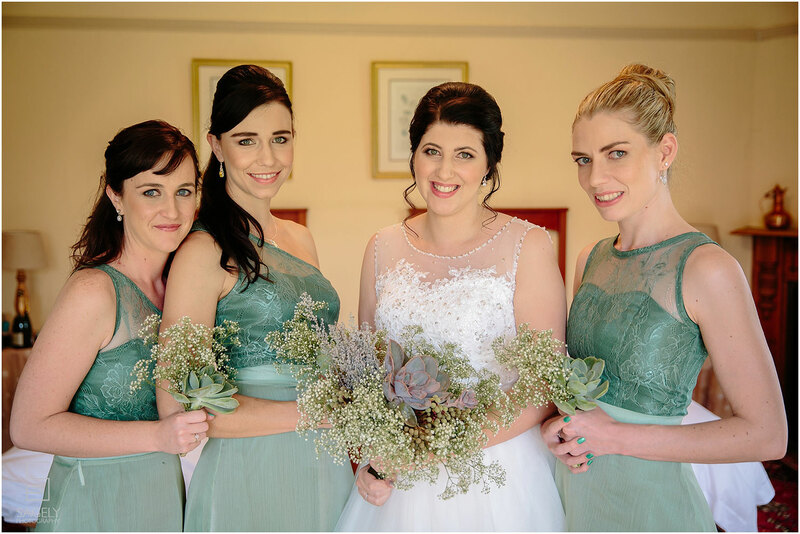 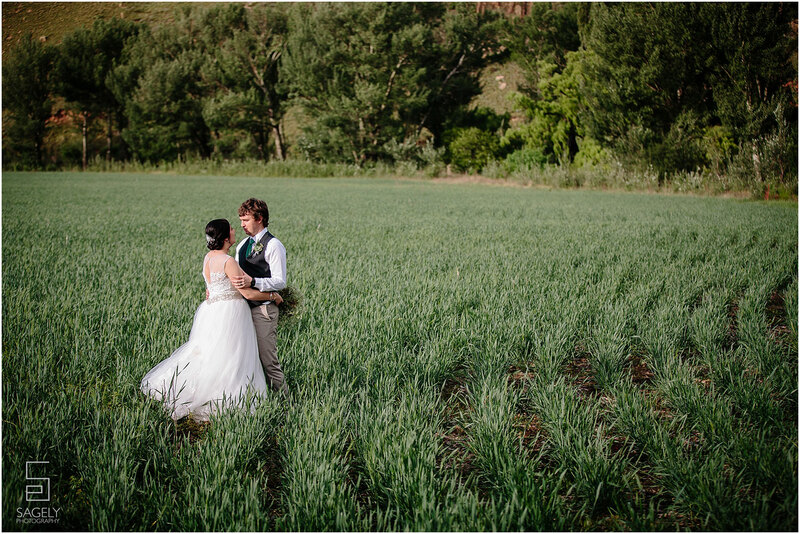 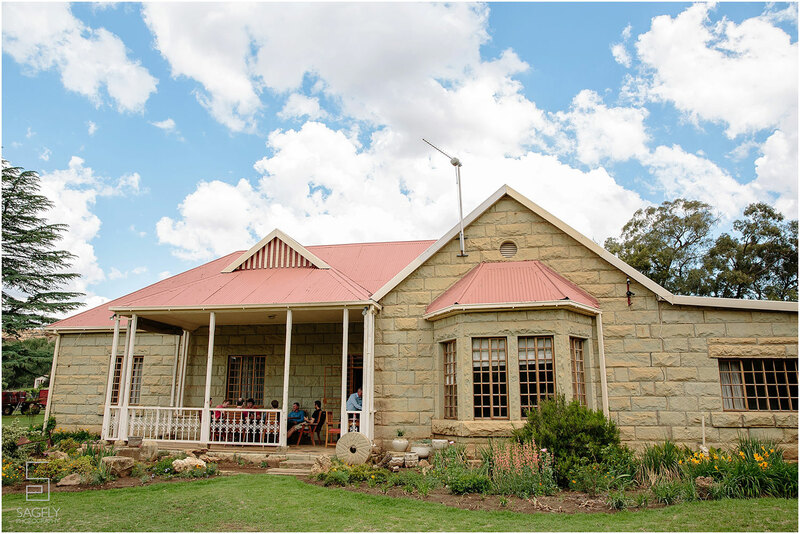 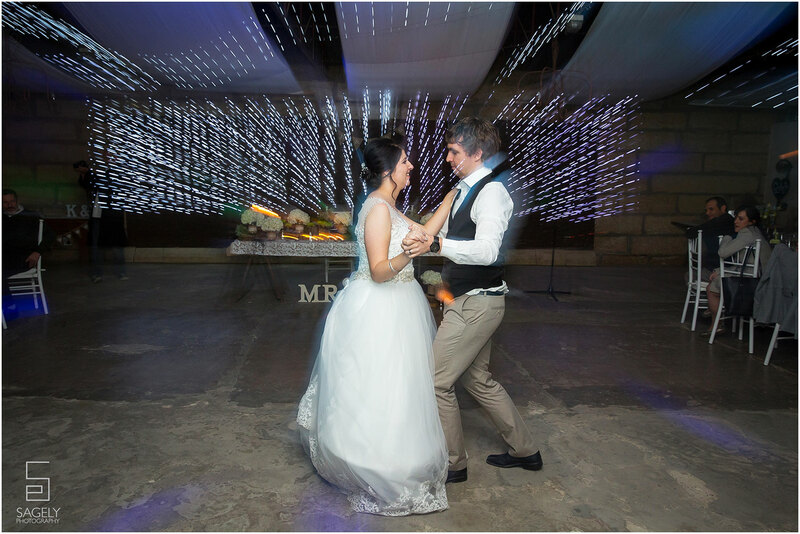 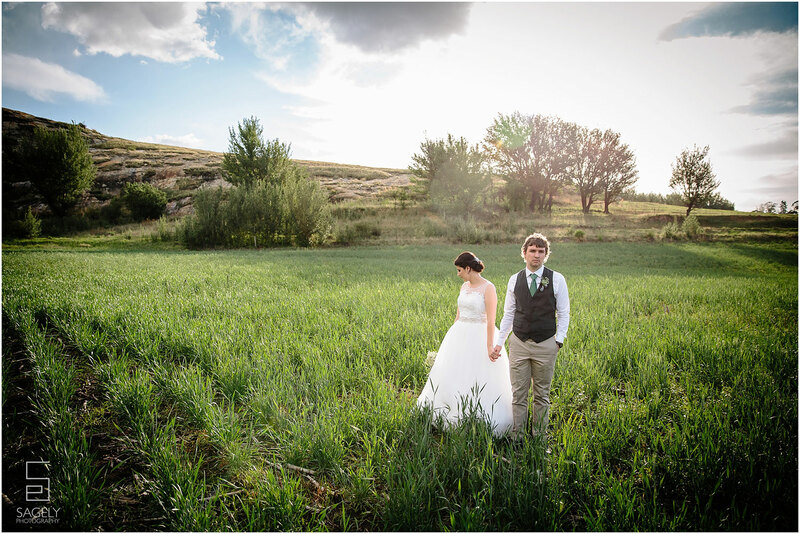 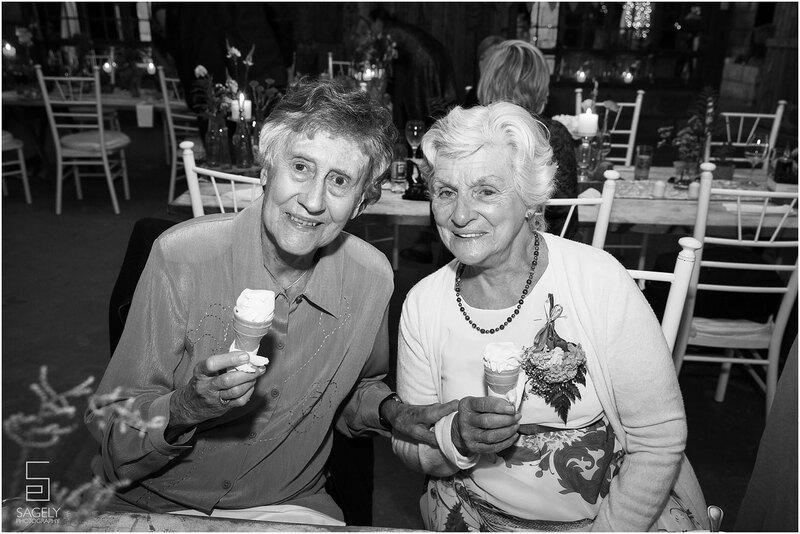 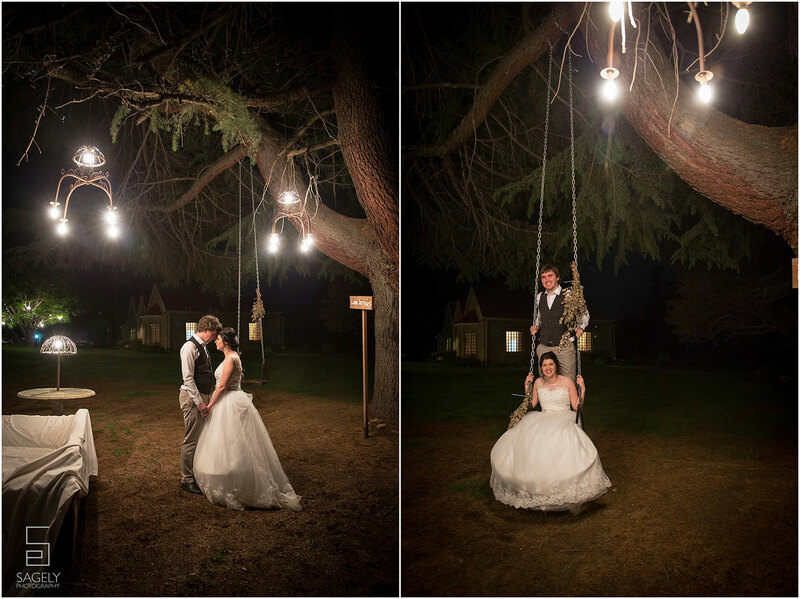 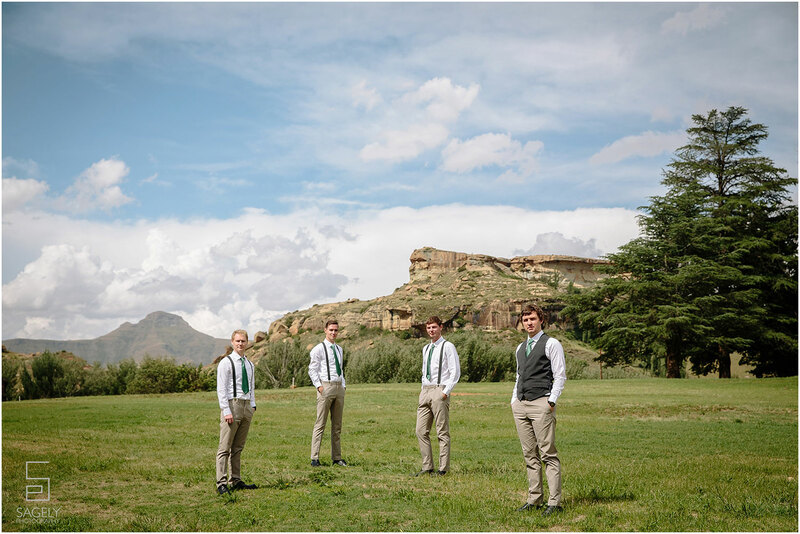 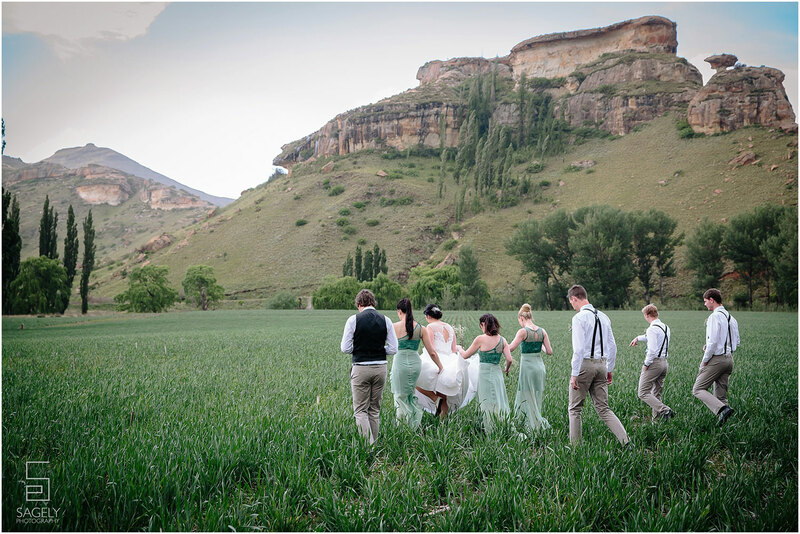 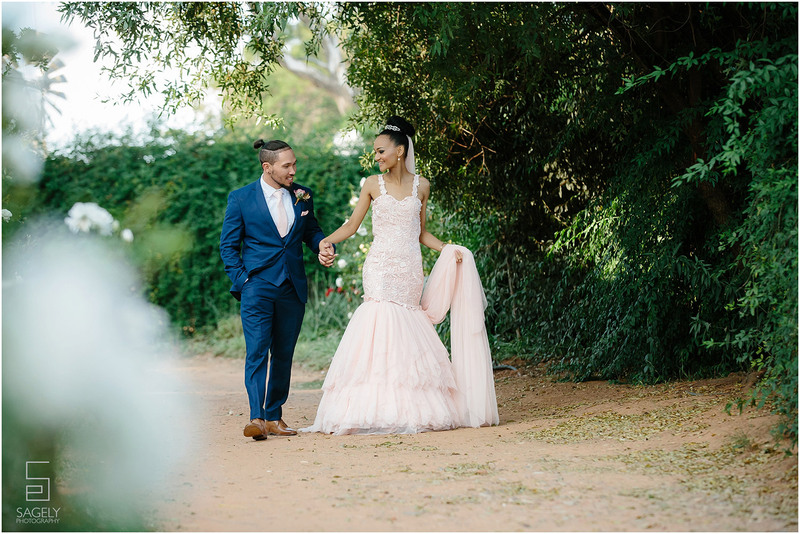 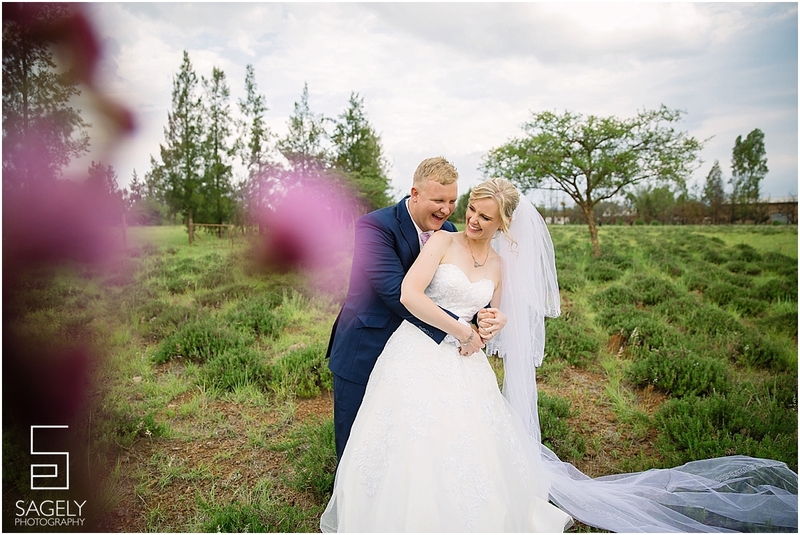 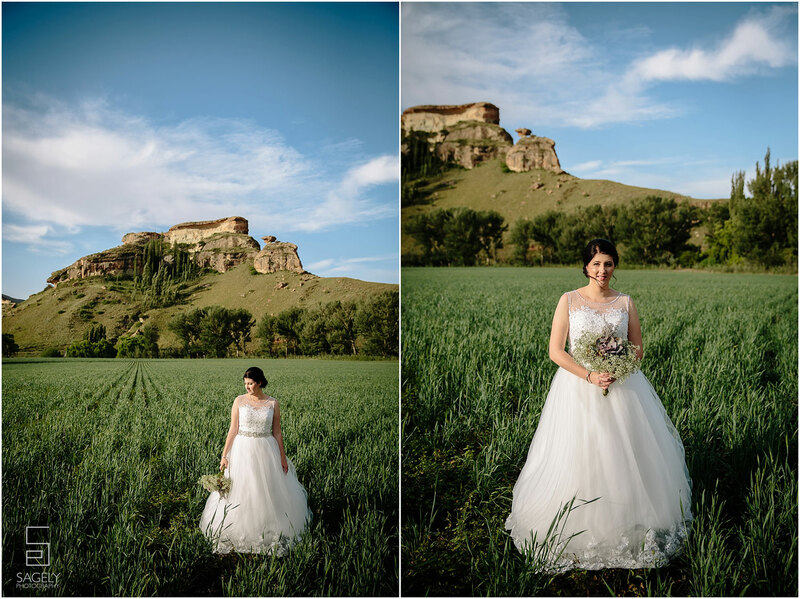 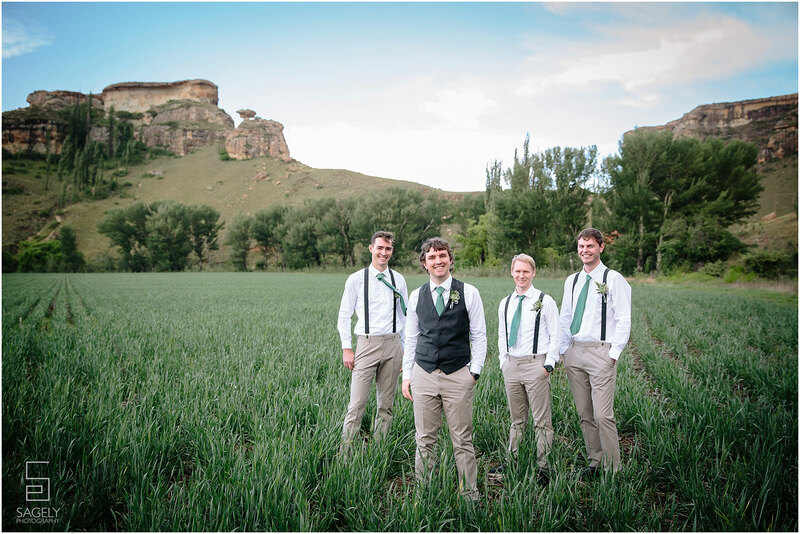 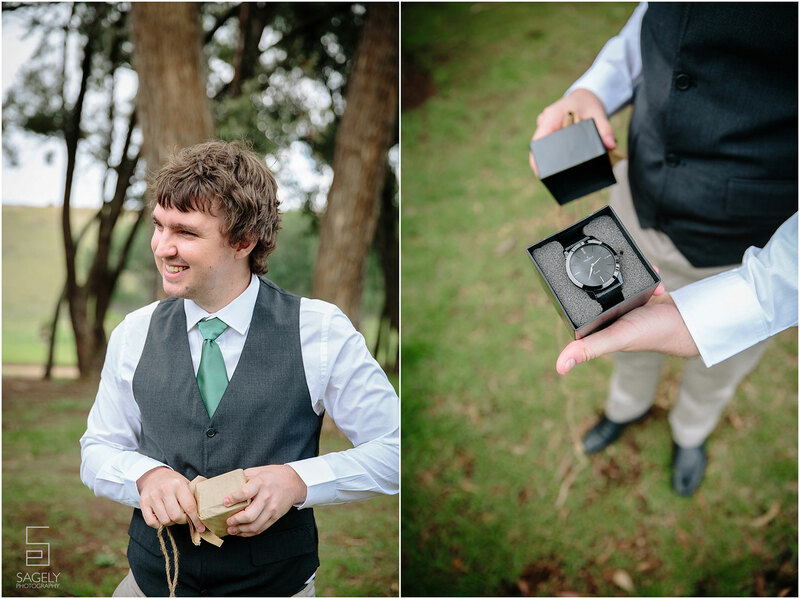 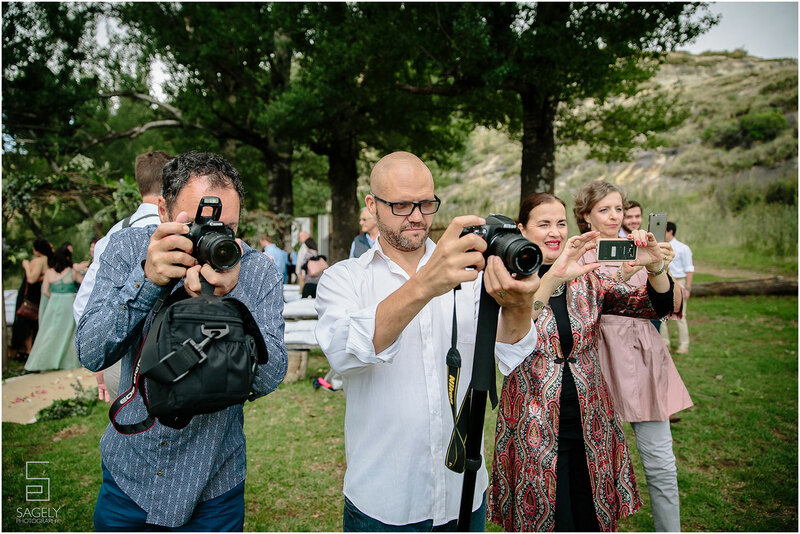 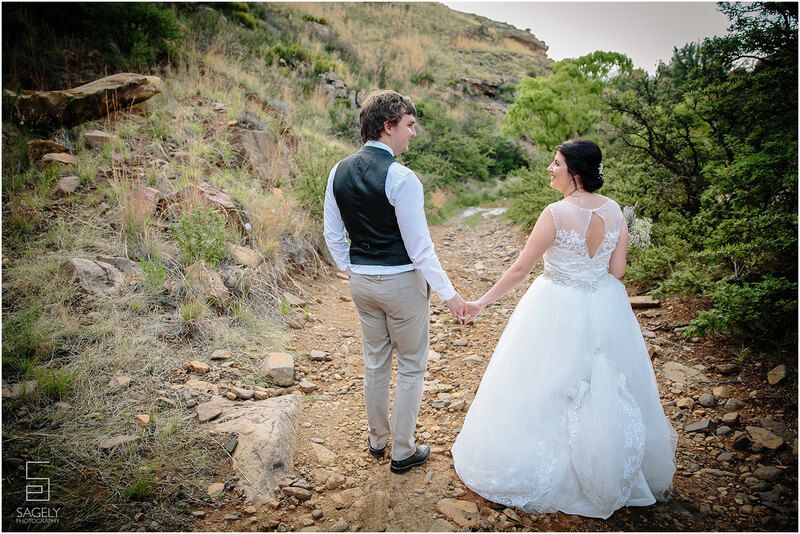 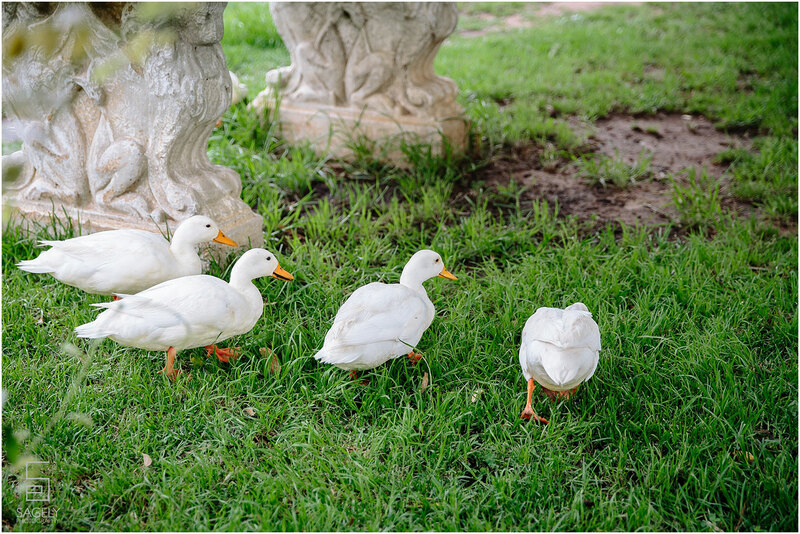 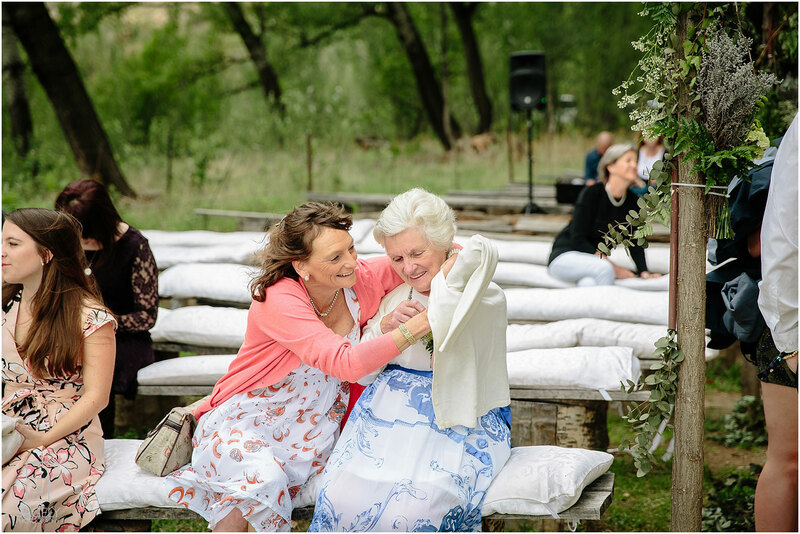 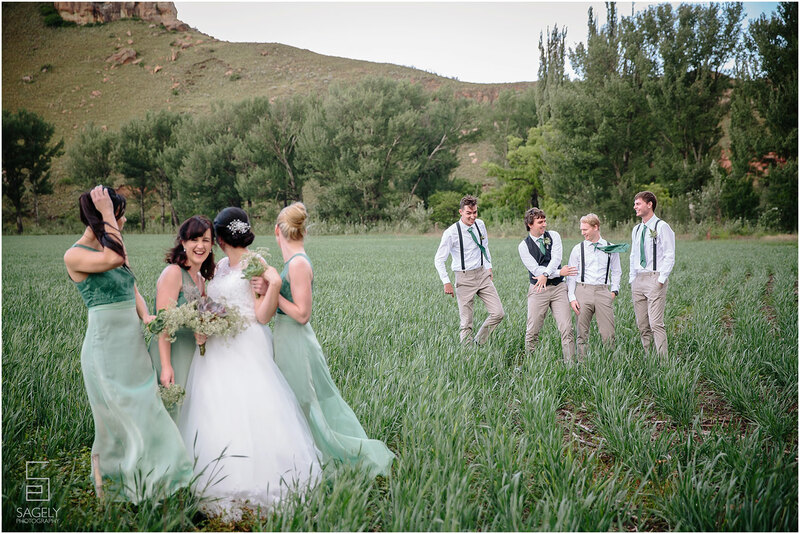 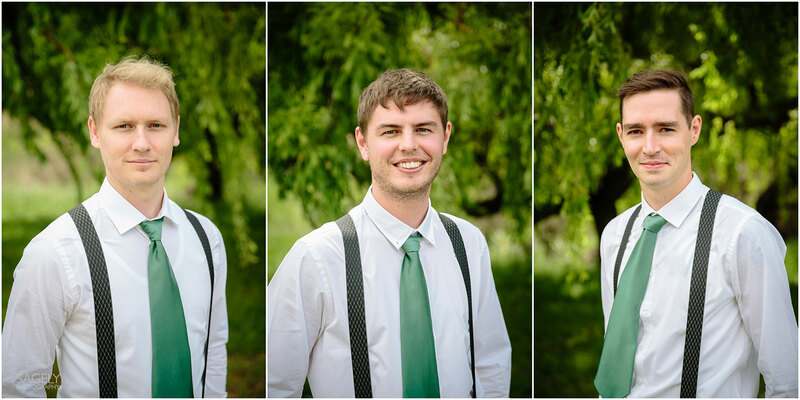 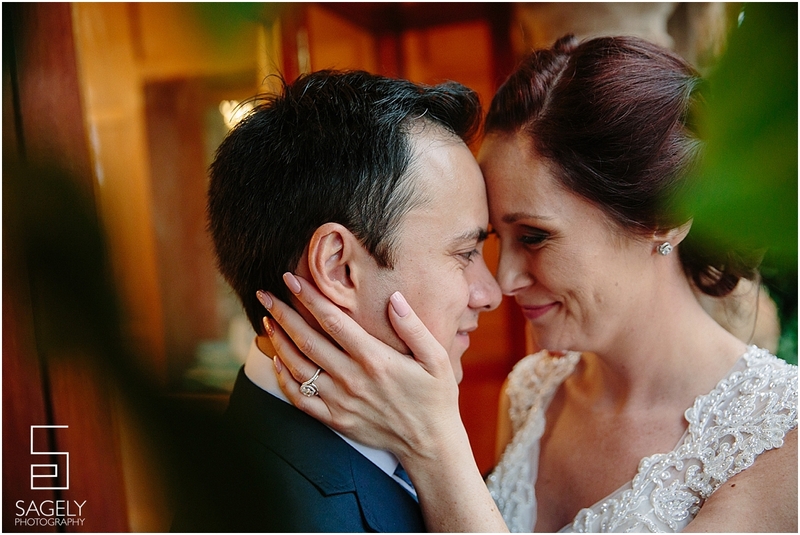 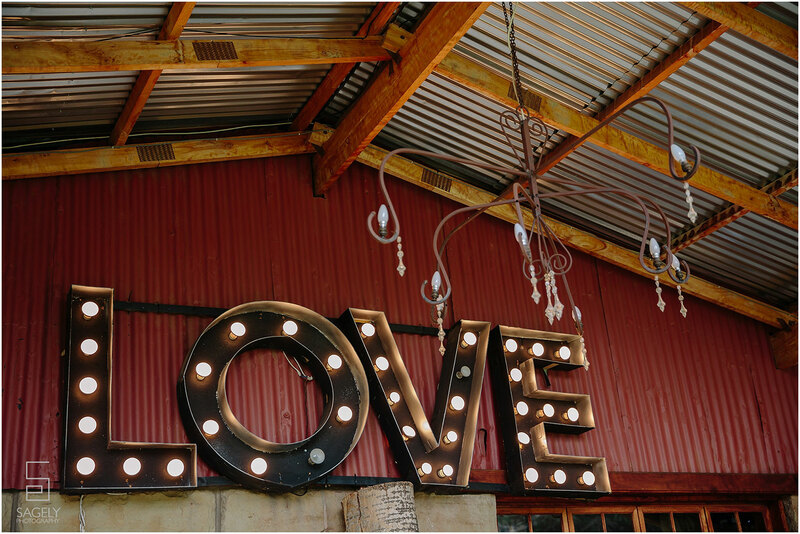 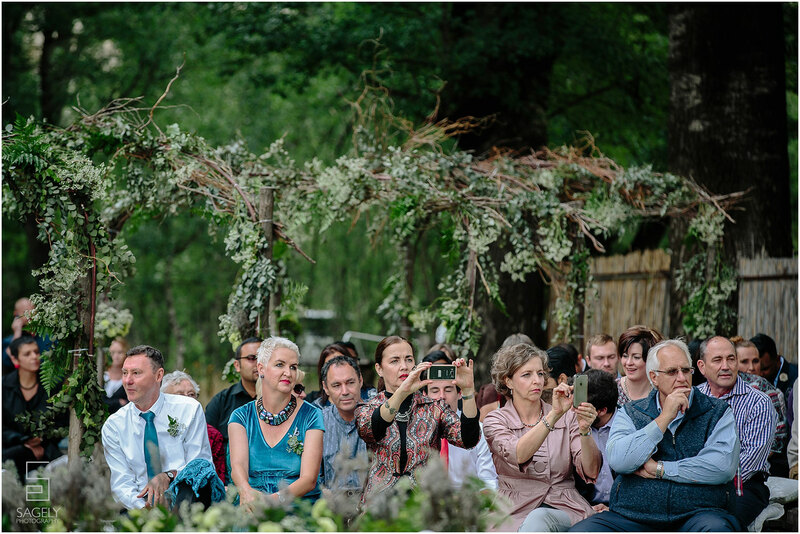 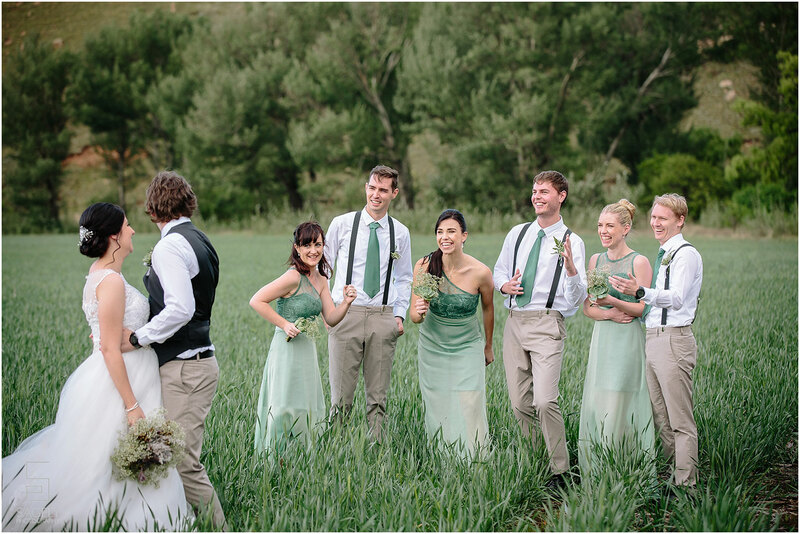 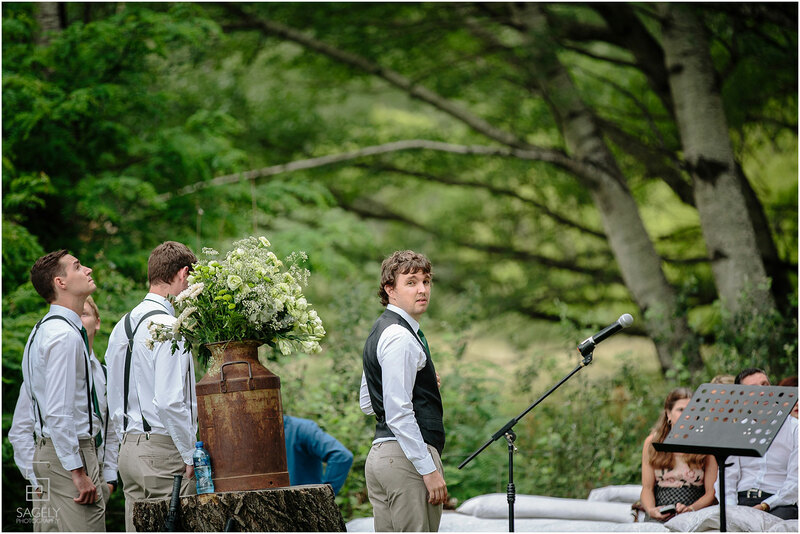 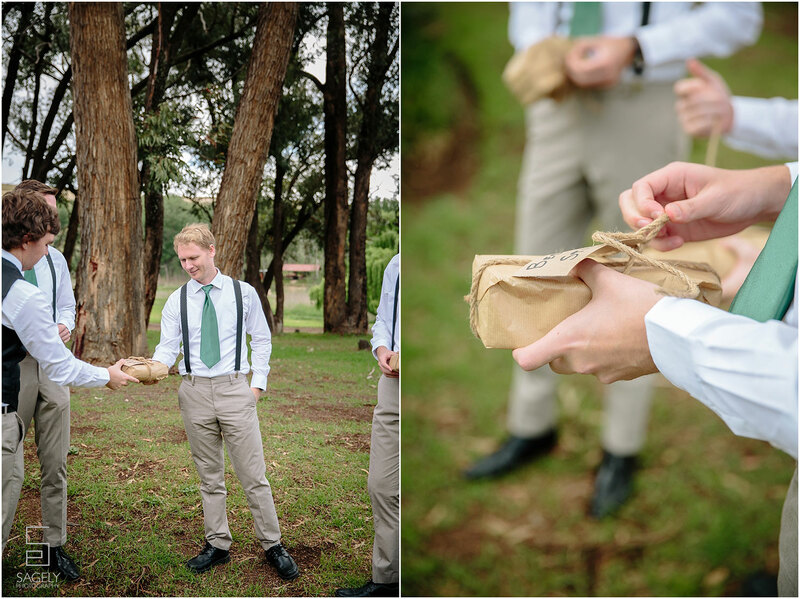 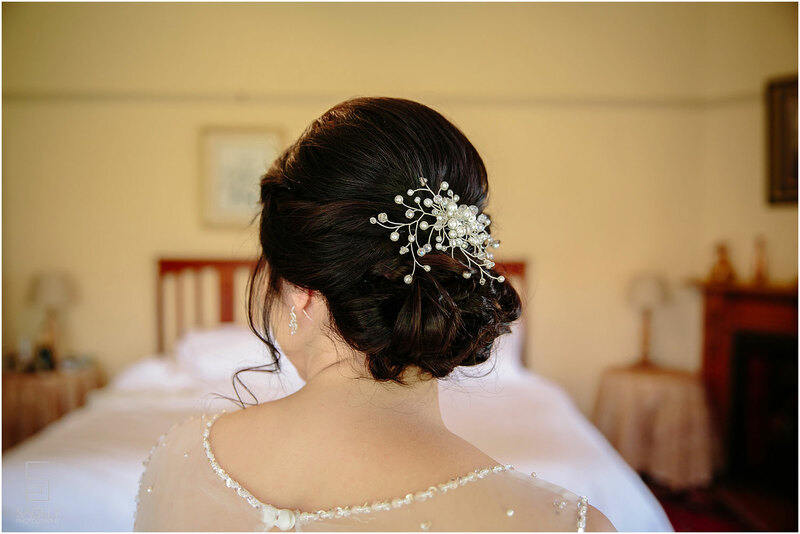 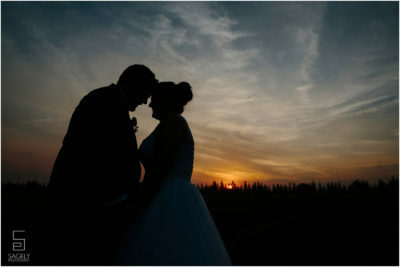 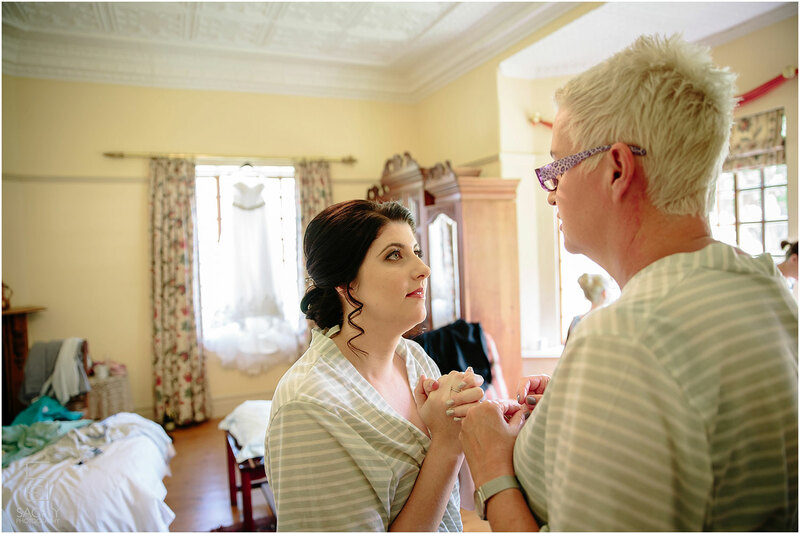 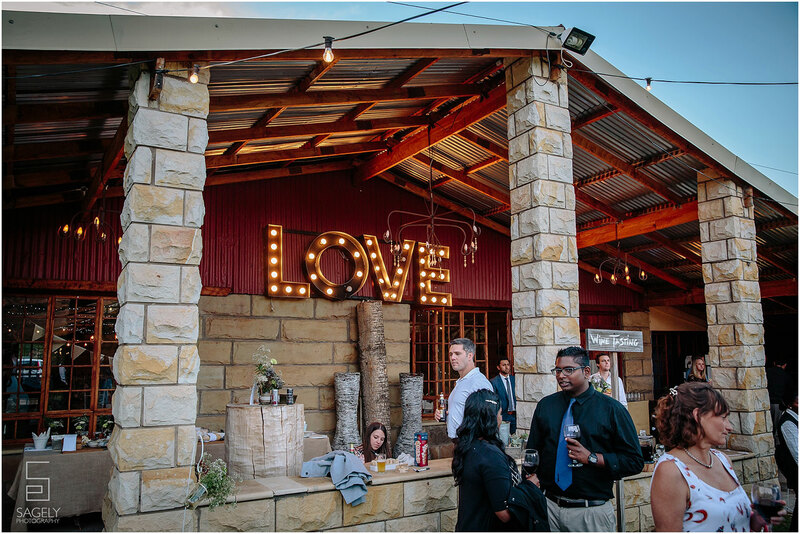 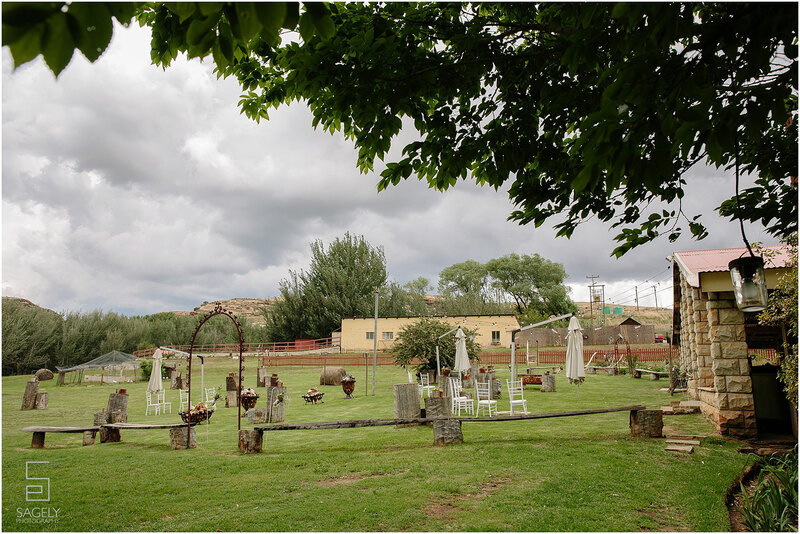 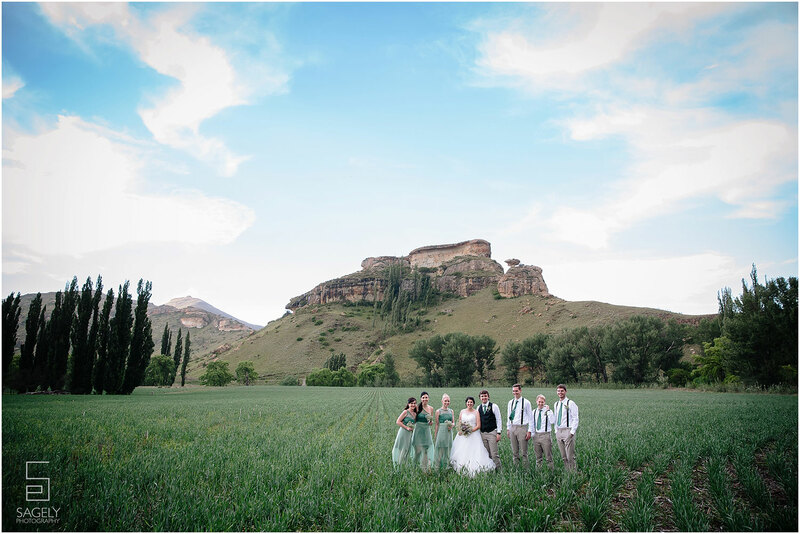 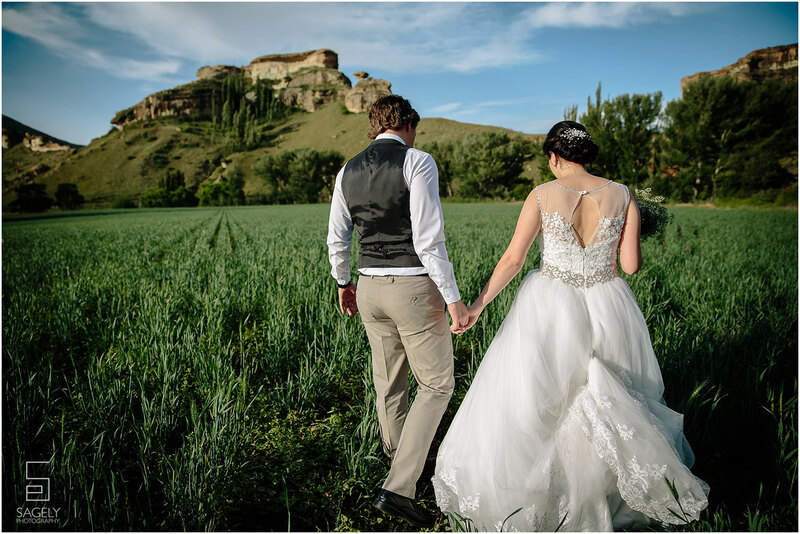 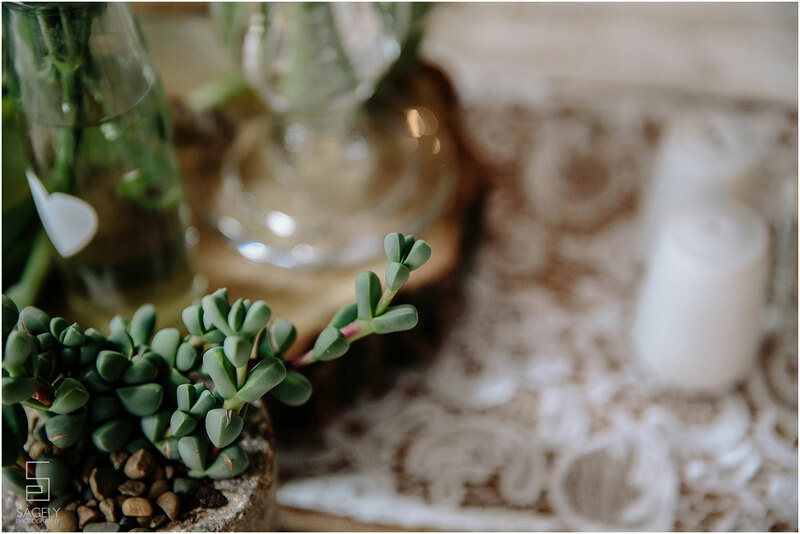 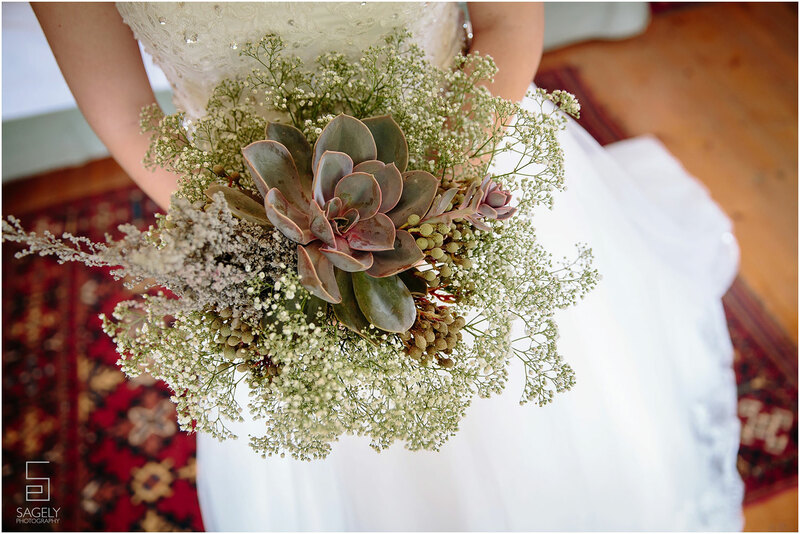 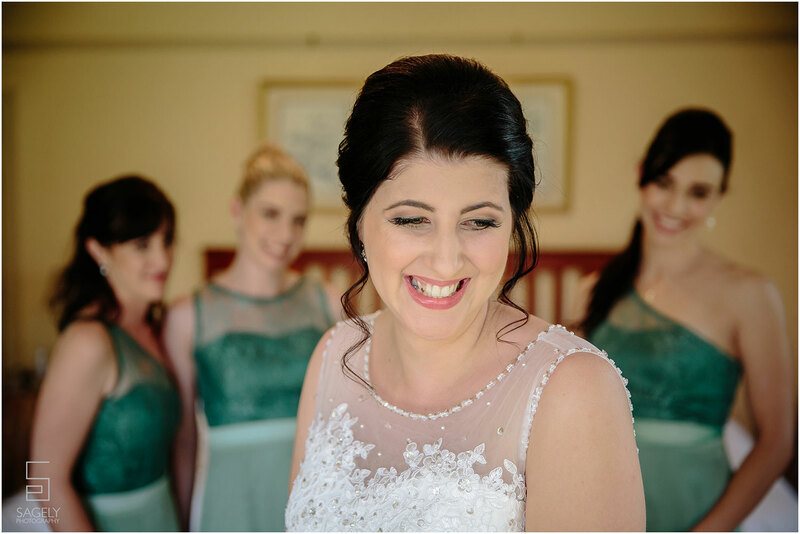 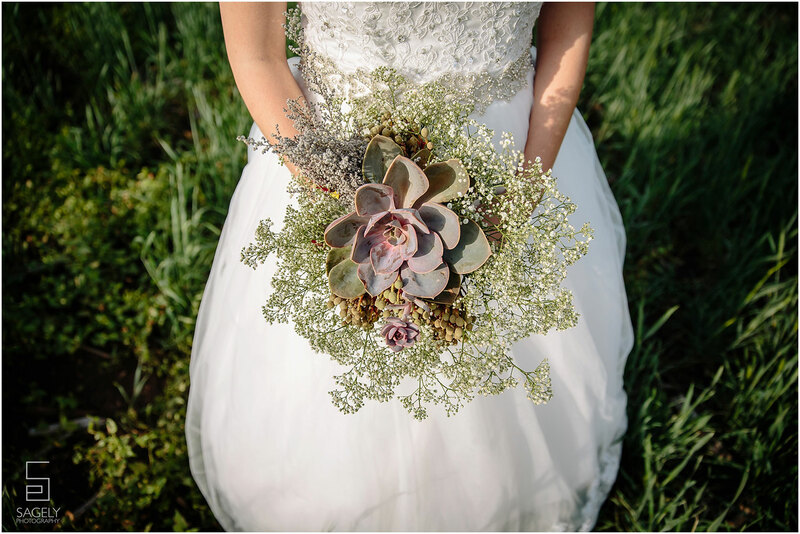 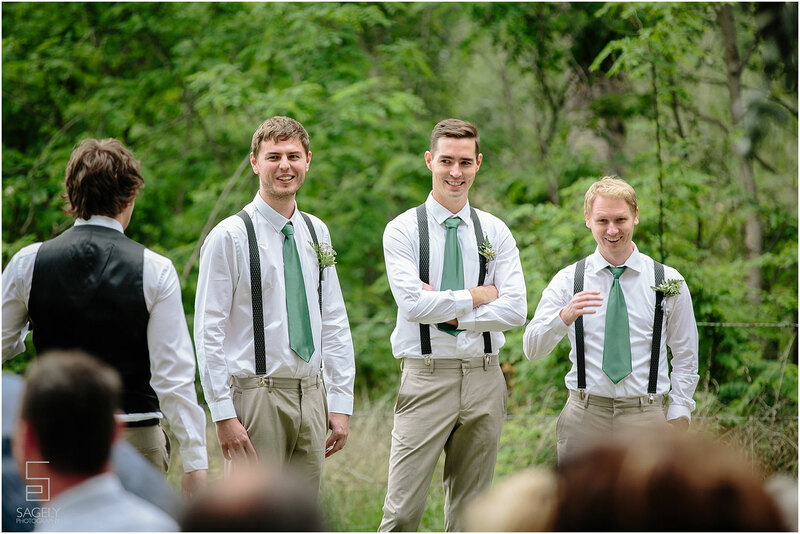 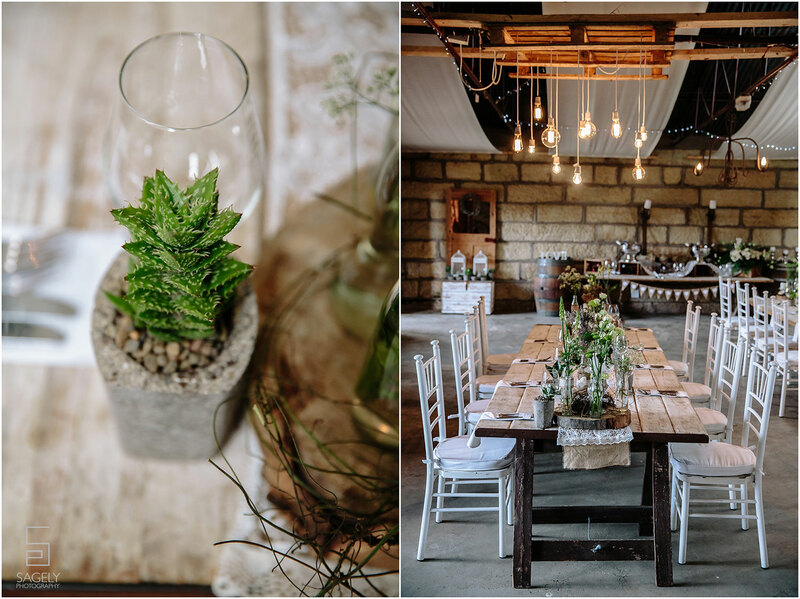 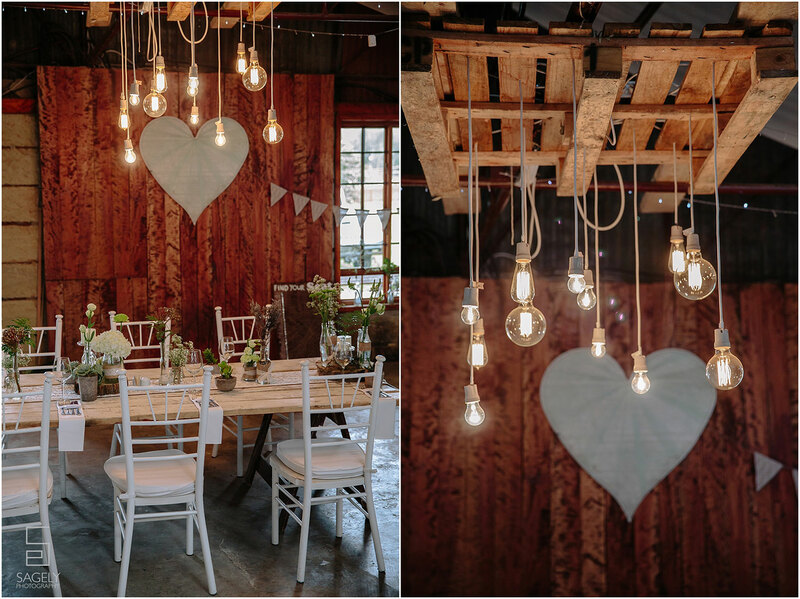 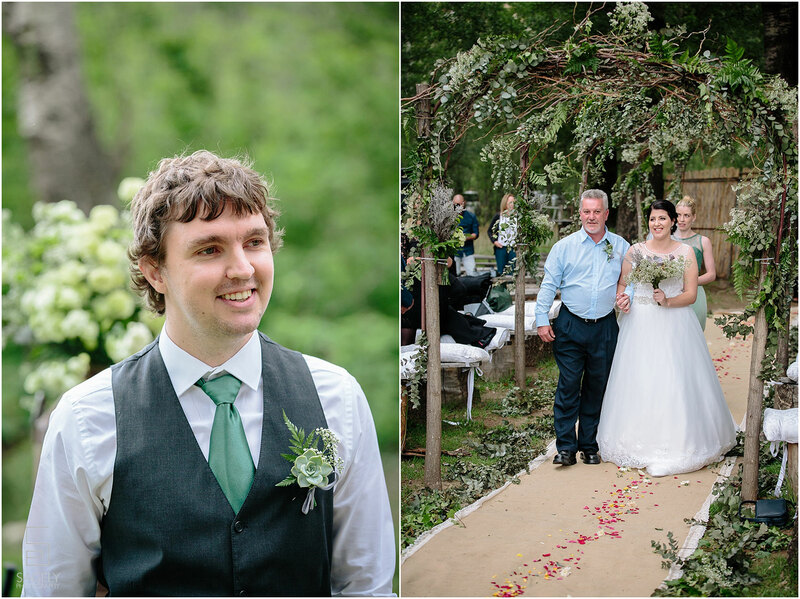 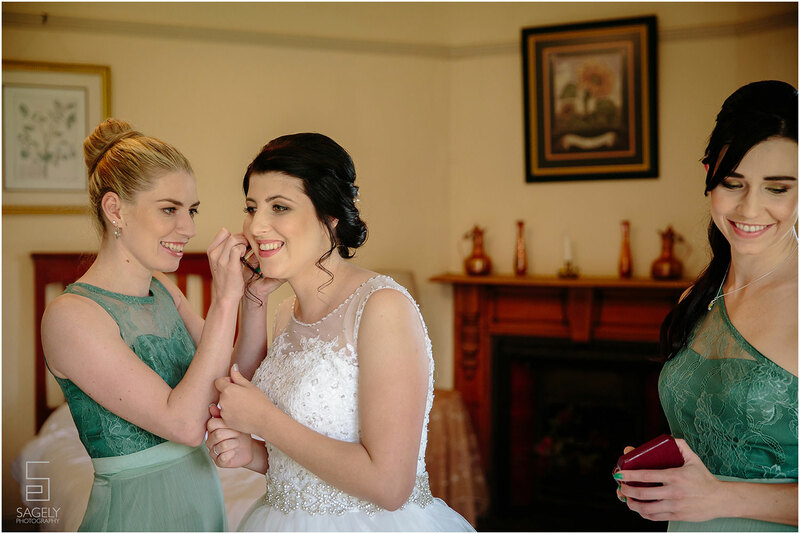 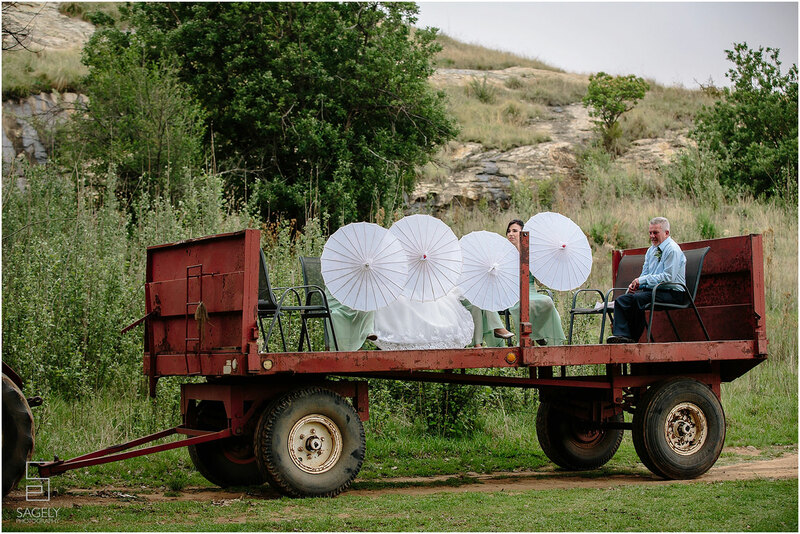 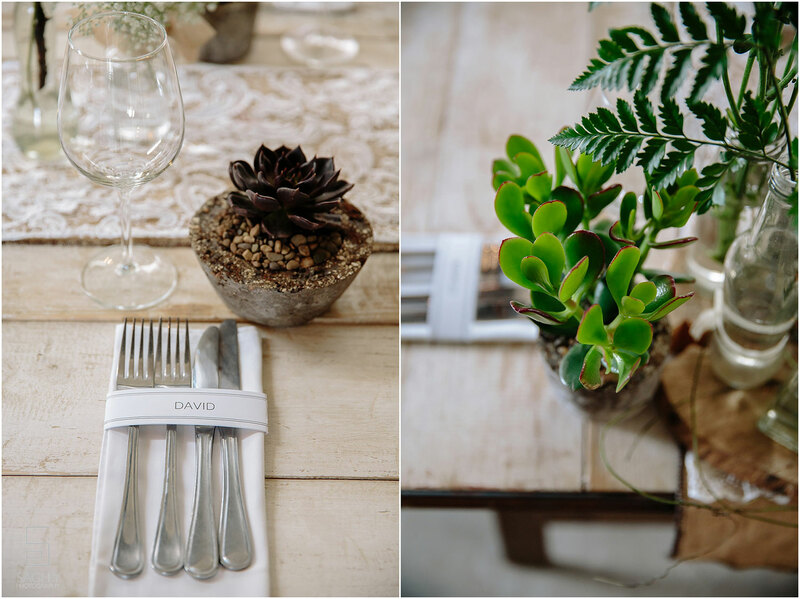 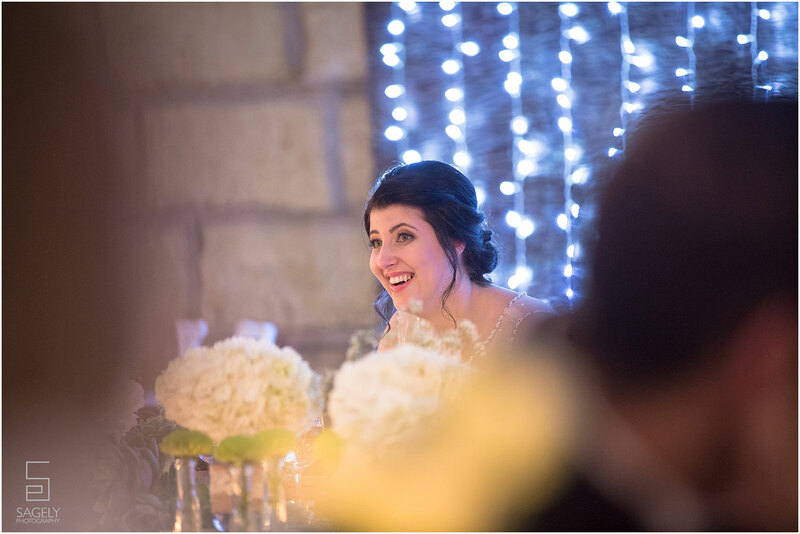 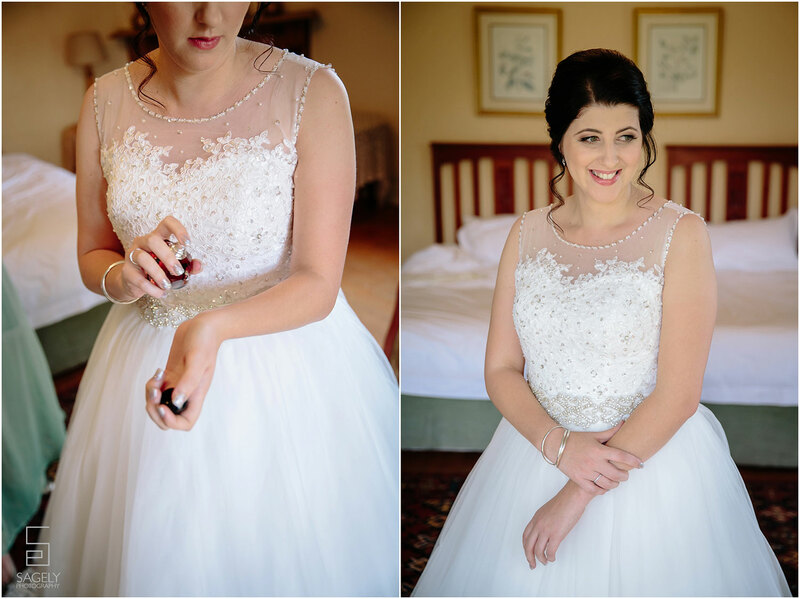 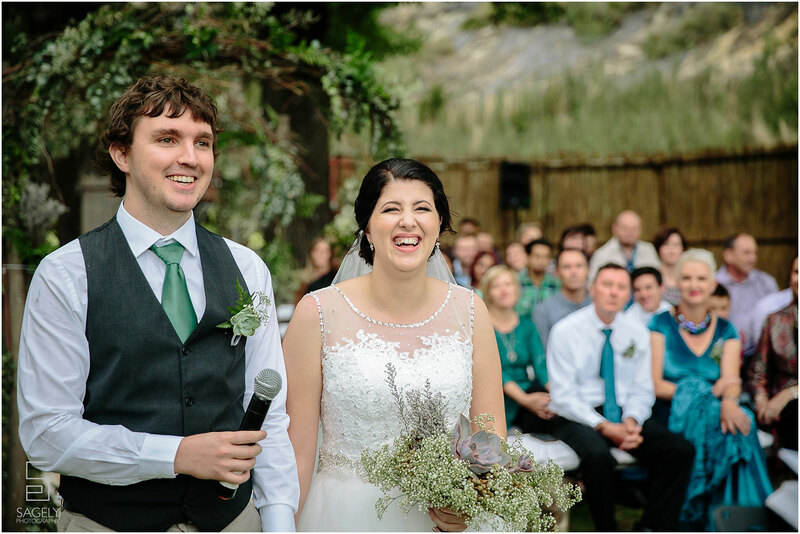 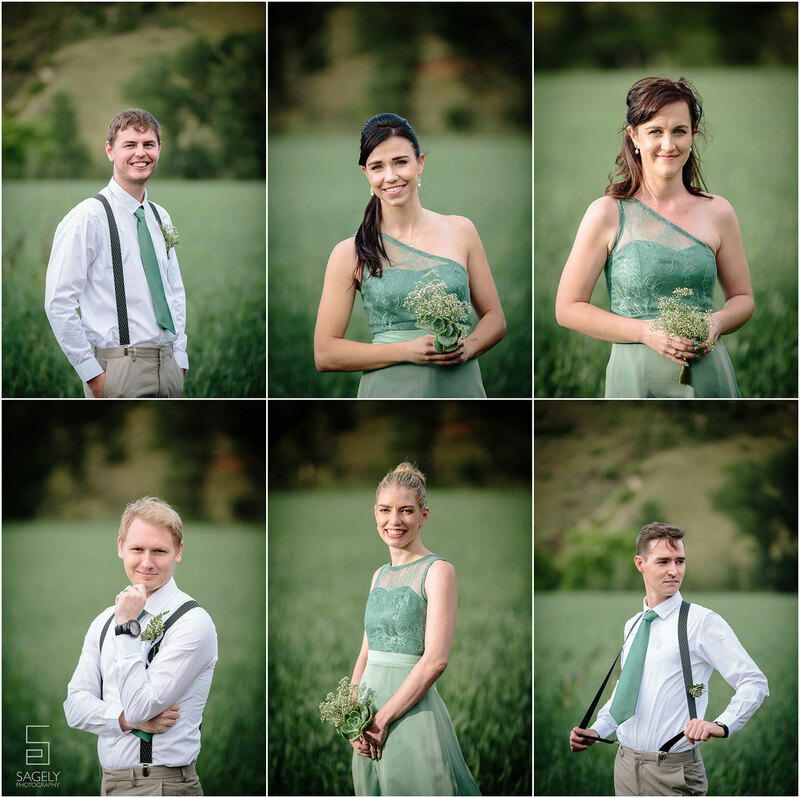 Henk & Kirsty celebrated their love at the beautiful St Fort in Clarens. 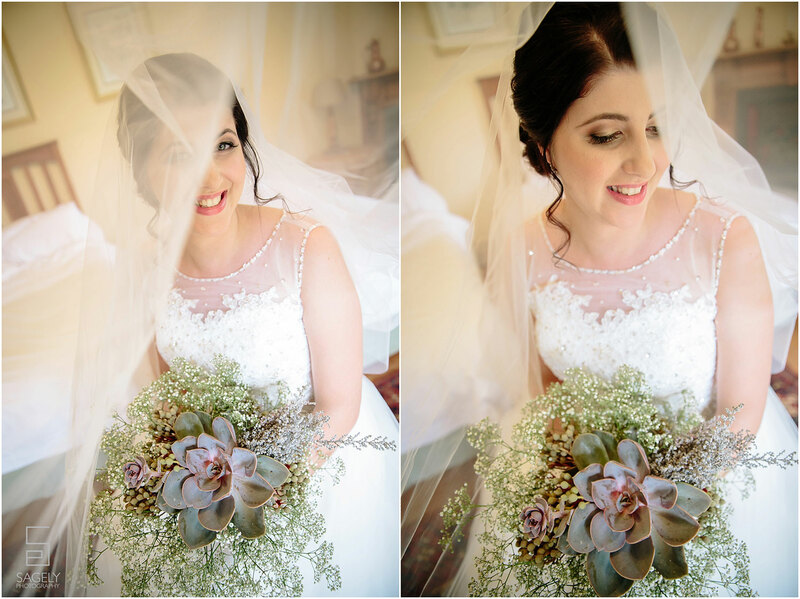 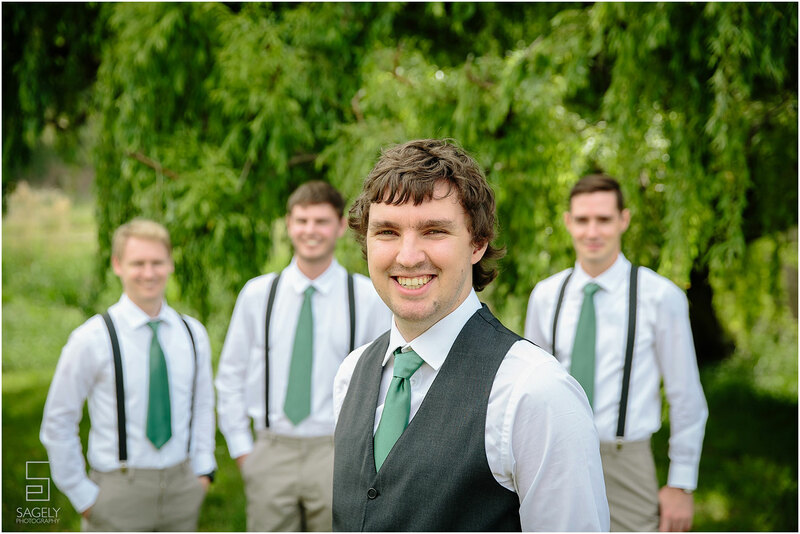 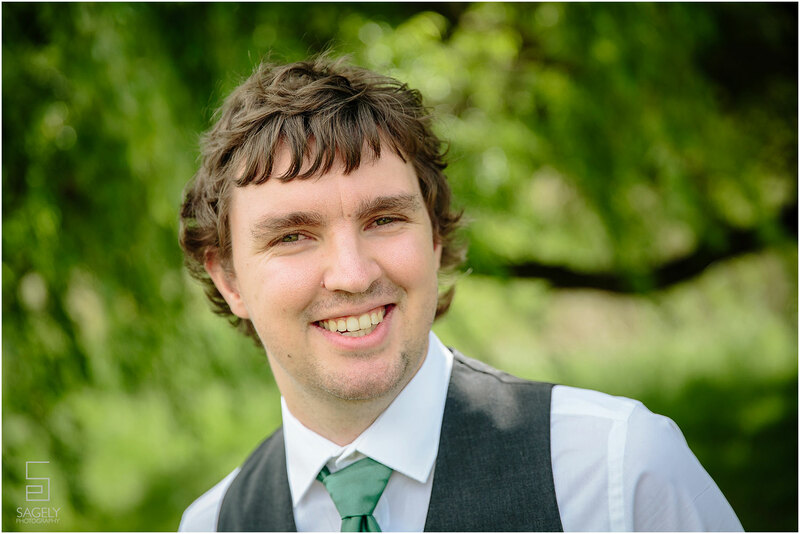 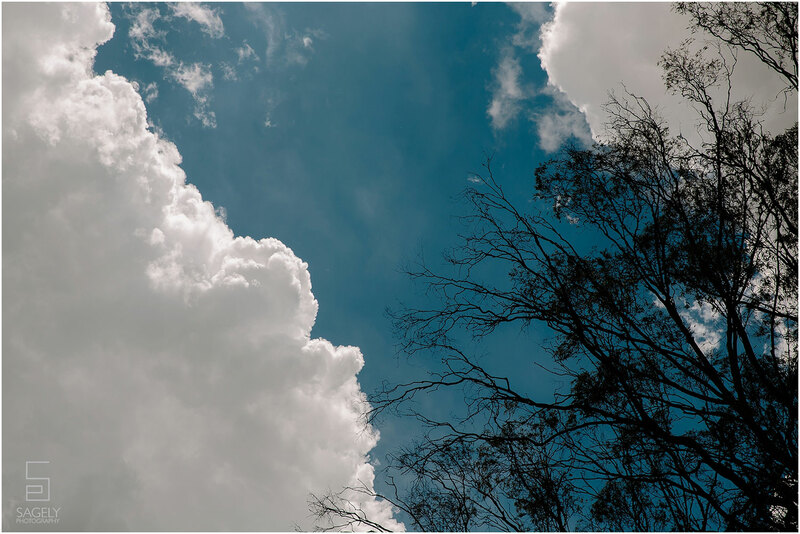 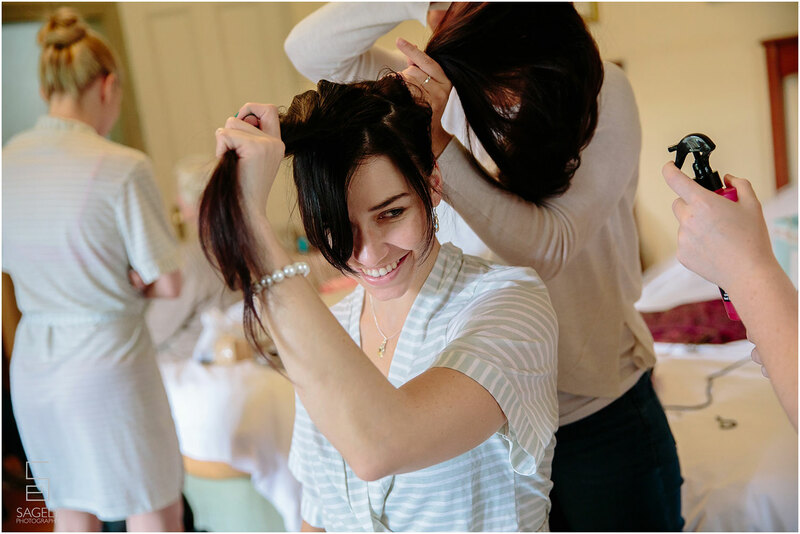 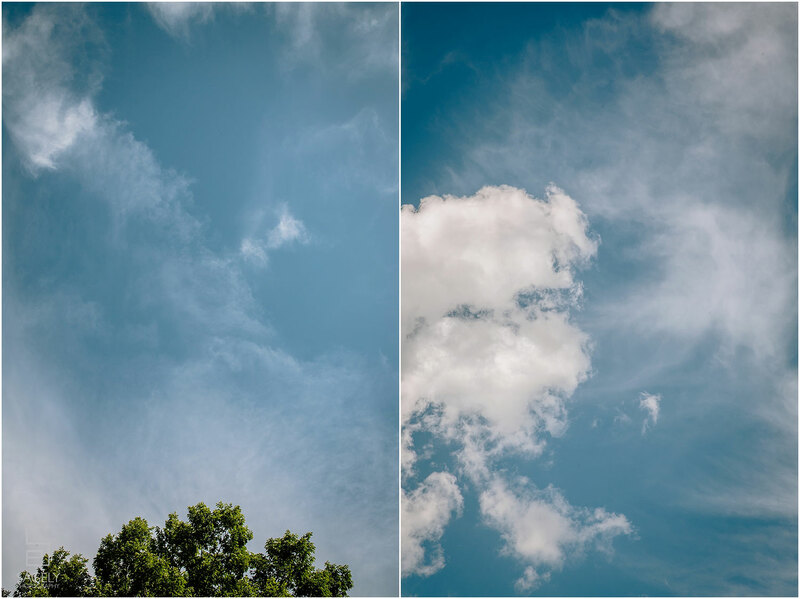 The weather went from rain to sunshine to rain again and back to some more sun… One thing was certain; Kirsty wanted an outside wedding and come rain or sun, this will be done… Karen did an amazing job with Kirsty’s hair and make up and should it rain, she will be close by. 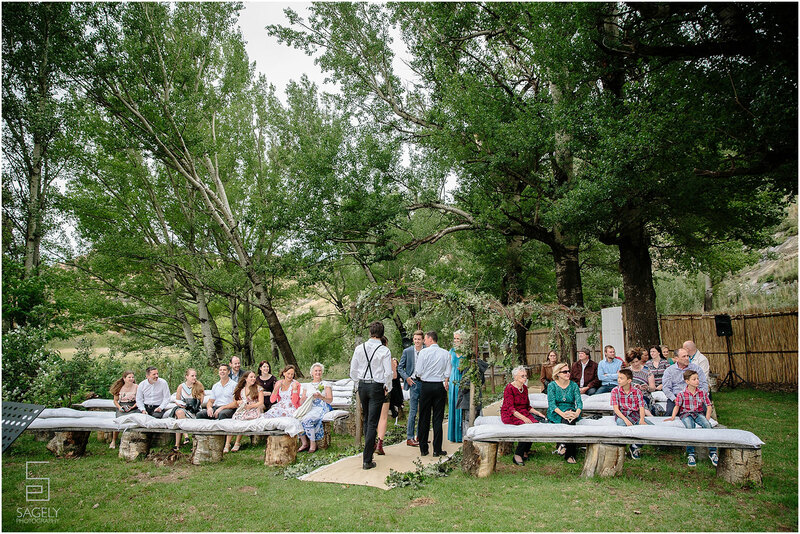 Well, needless to say the weather was perfect and these two exchanged their vows in the “popelier” tree with the most stunning backdrop. 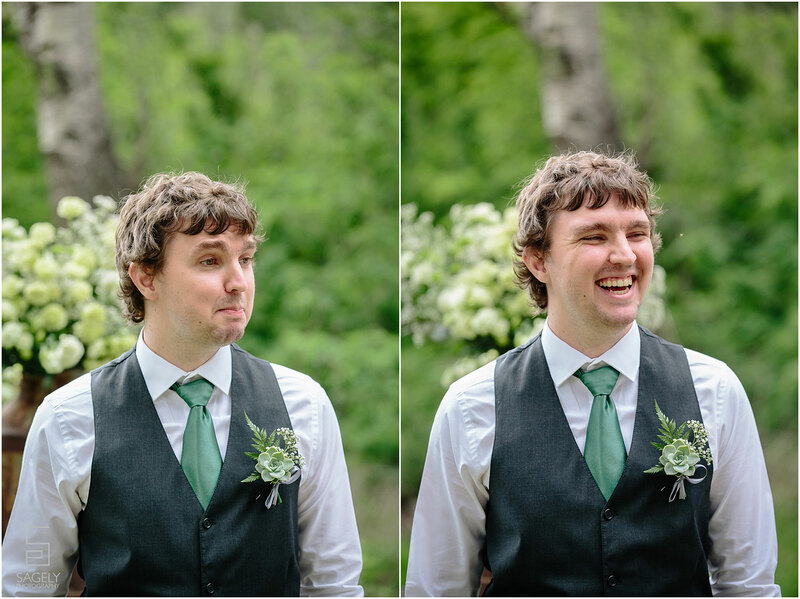 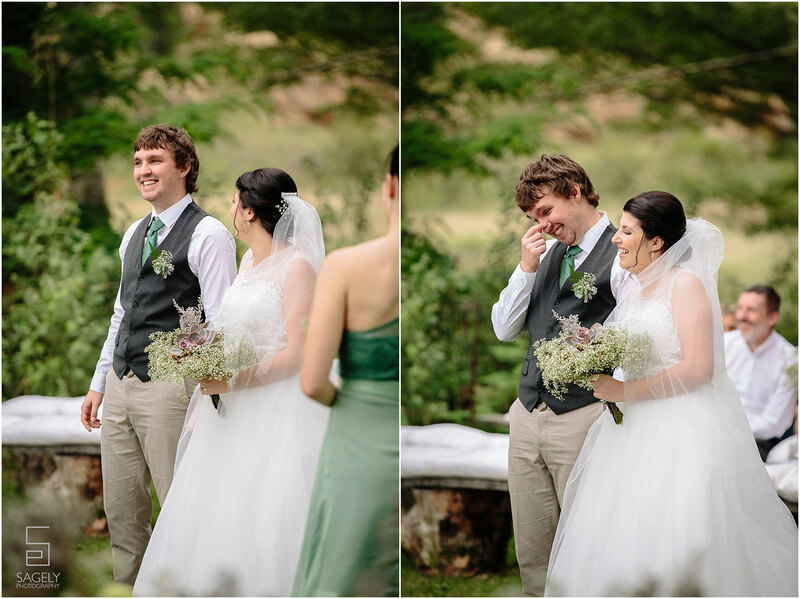 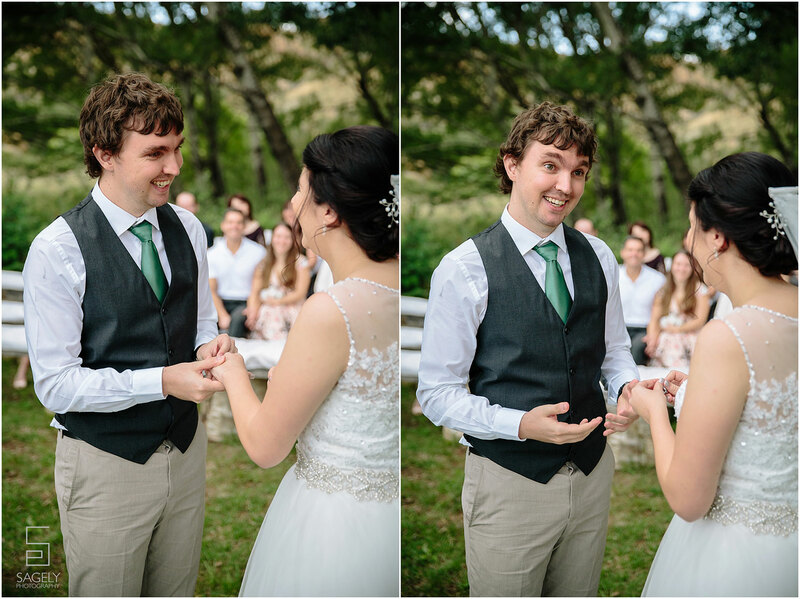 One of my favorite shots was when the wind started blowing just after Kirsty’s veil was removed. 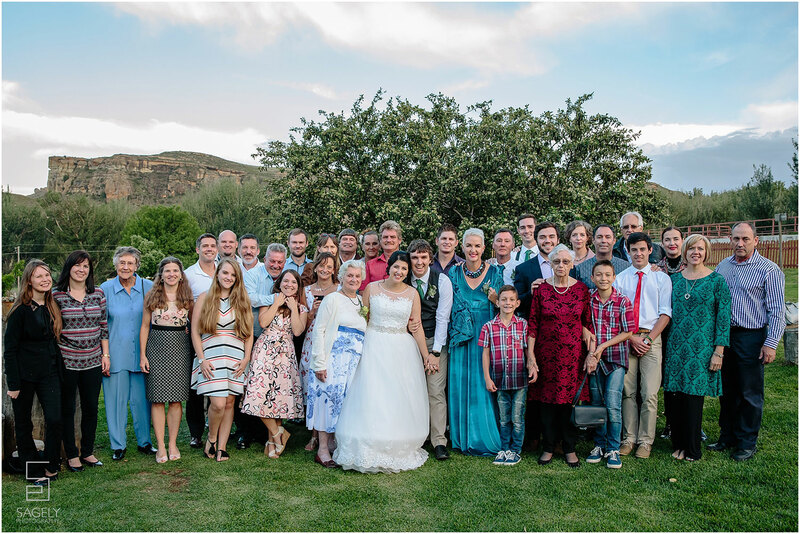 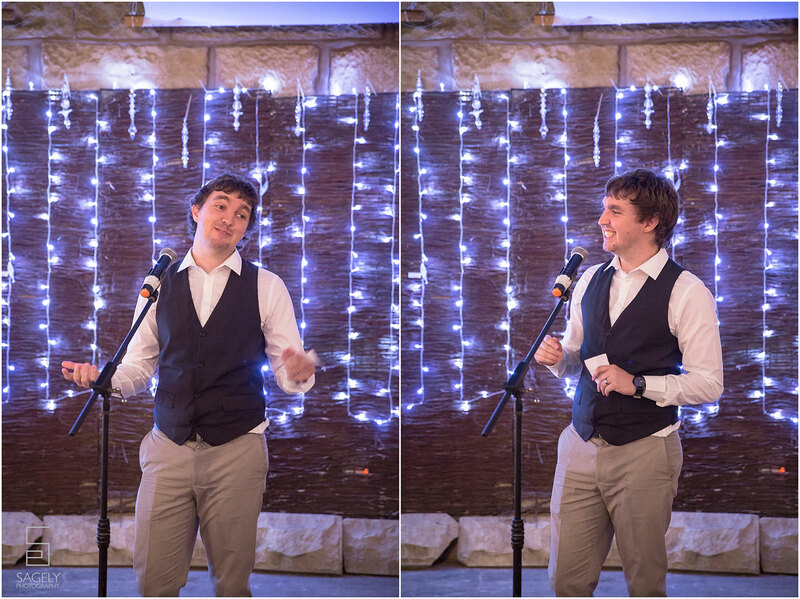 A big thank you to all the family and new friends we made on this very special day! 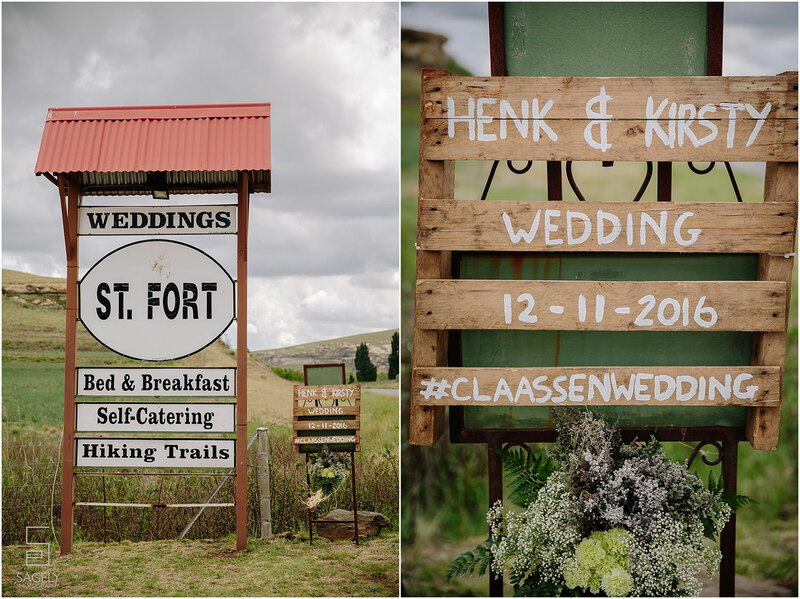 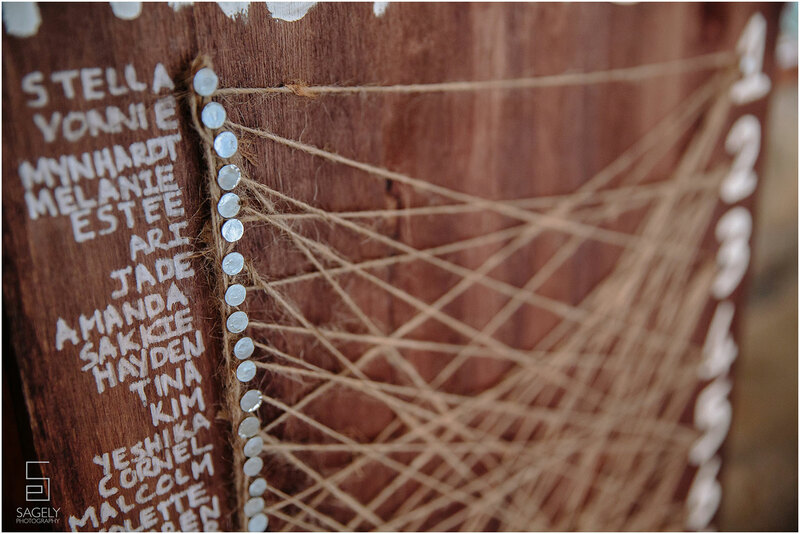 Henk & Kirsty we wish you guys all the best and may you be blessed in this amazing journey together.